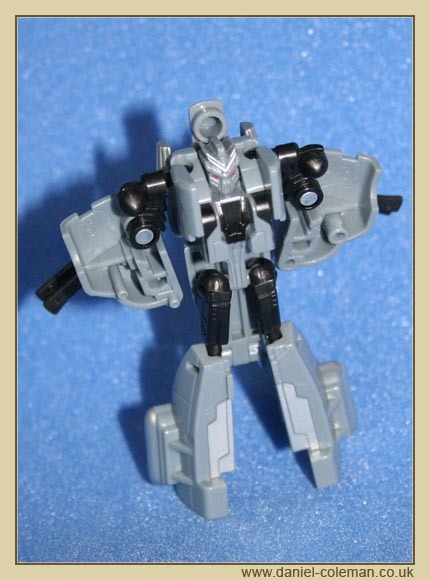 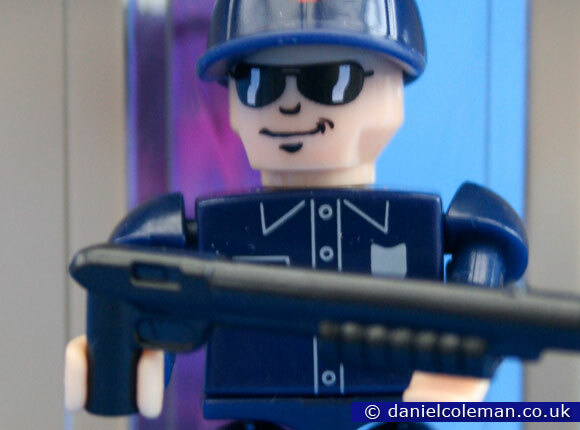 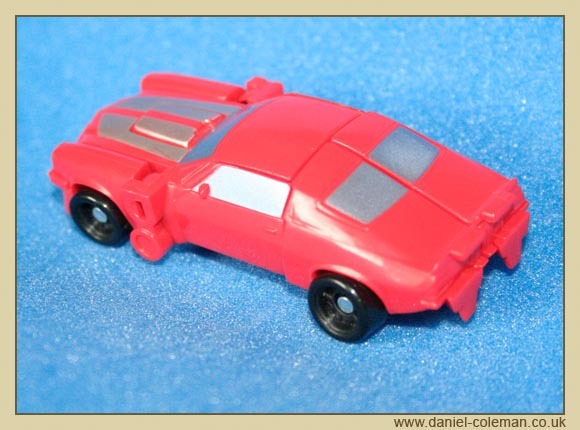 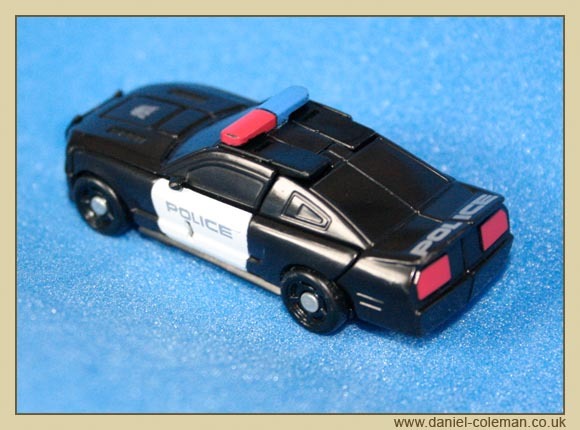 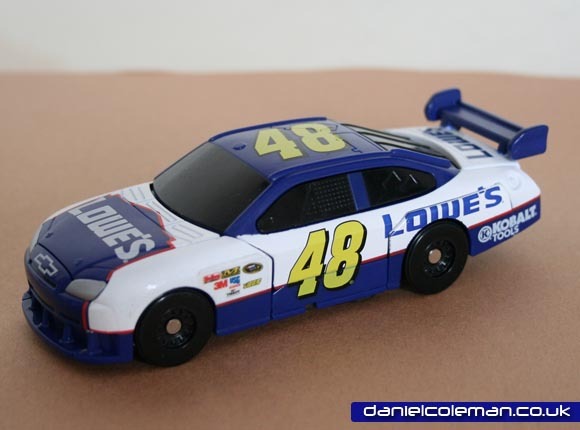 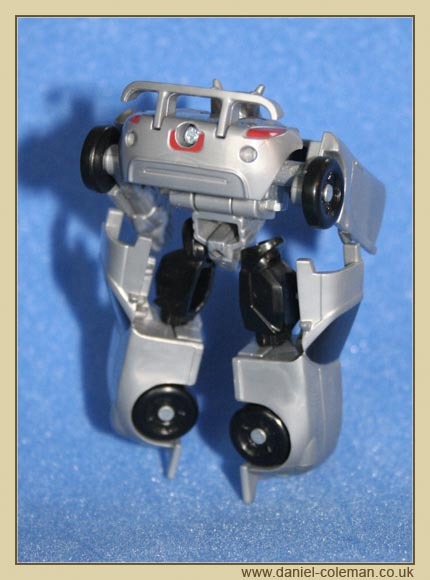 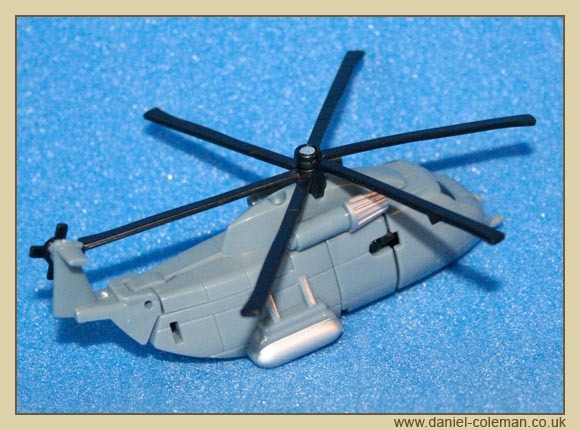 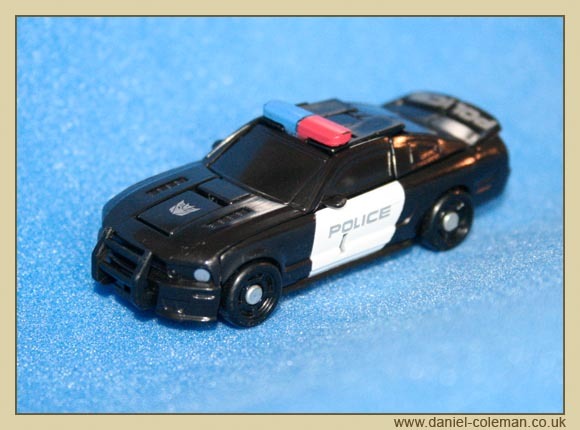 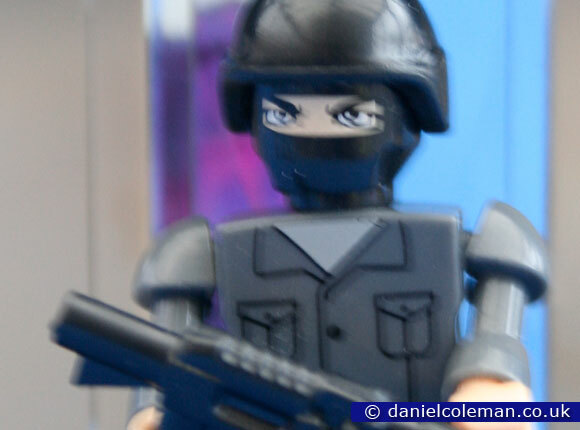 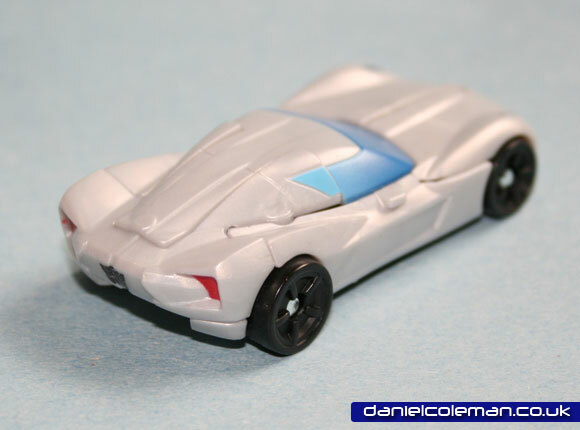 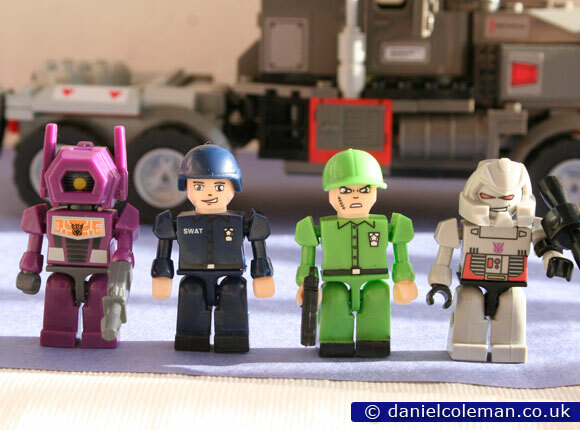 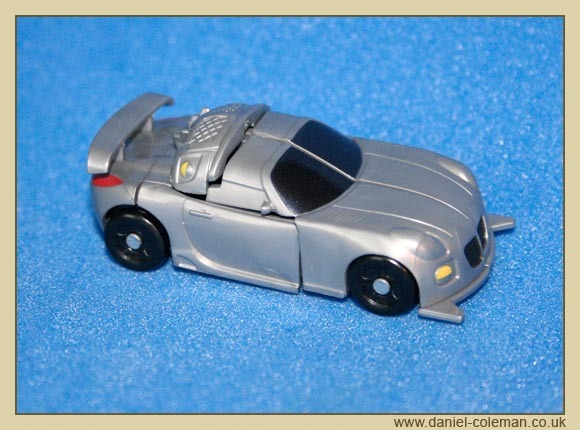 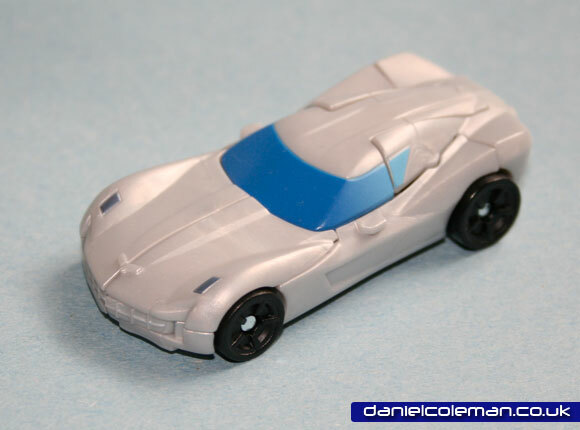 These are small pocket sized figures date back to Dec 2007 and can be altered from a vehicle to a robot. 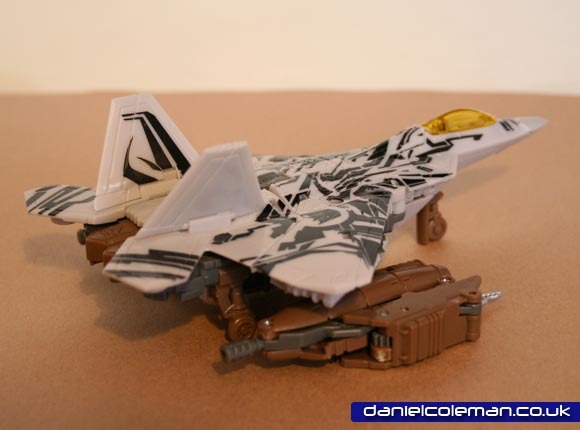 Revenge of the Fallen (RotF) range out during 2009. 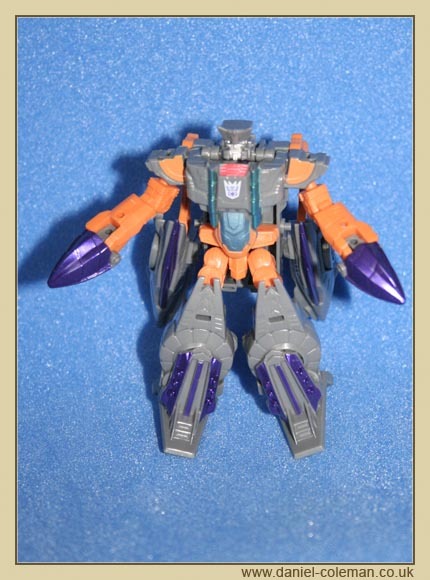 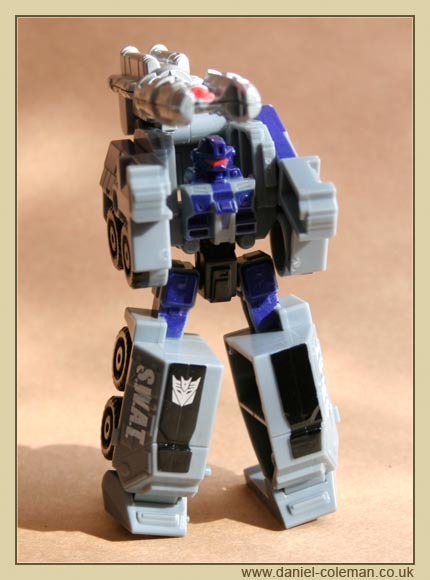 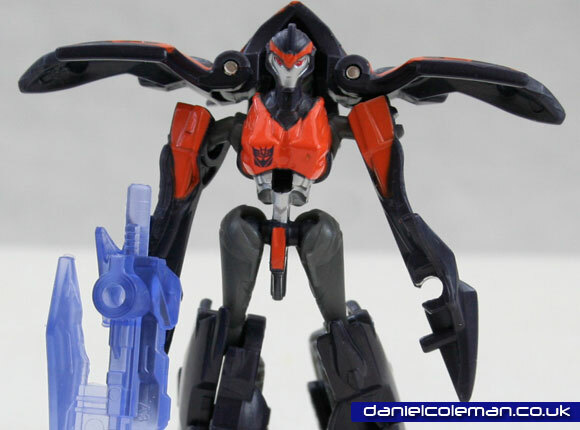 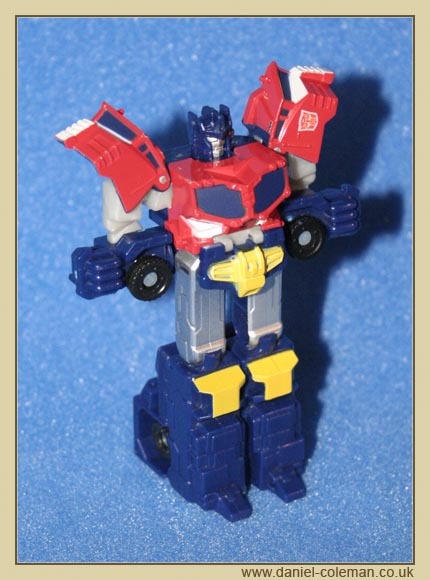 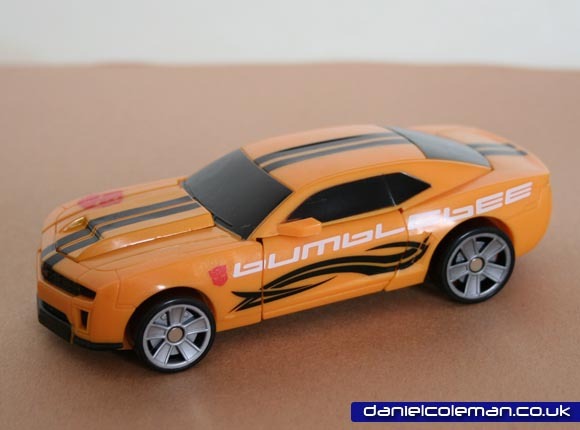 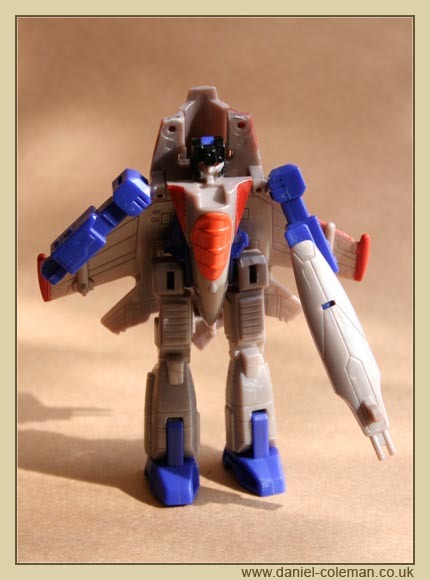 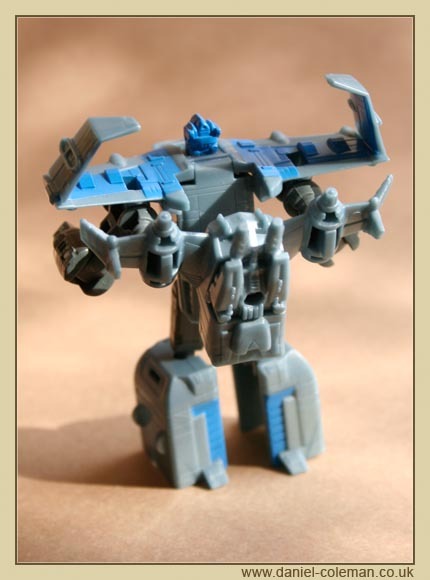 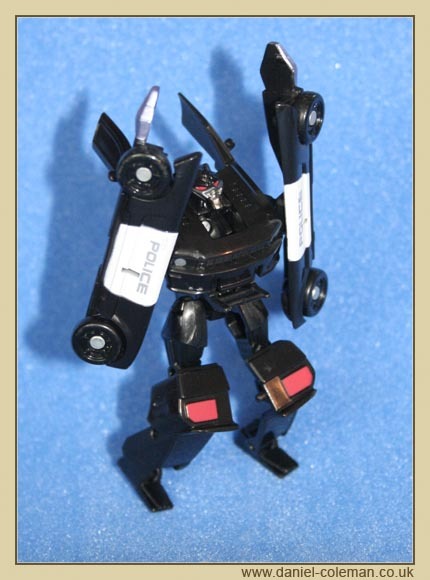 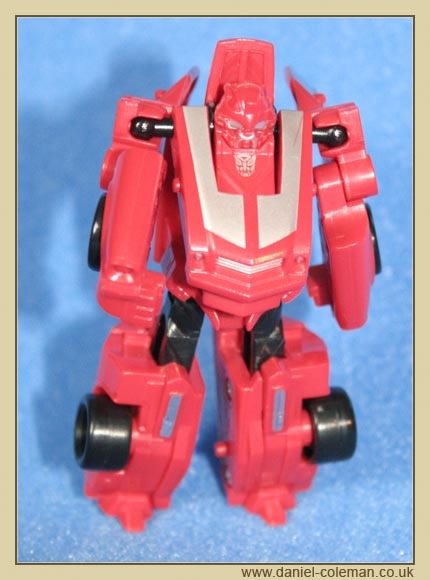 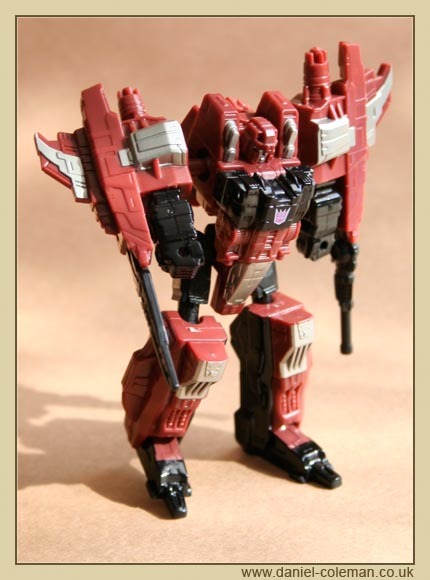 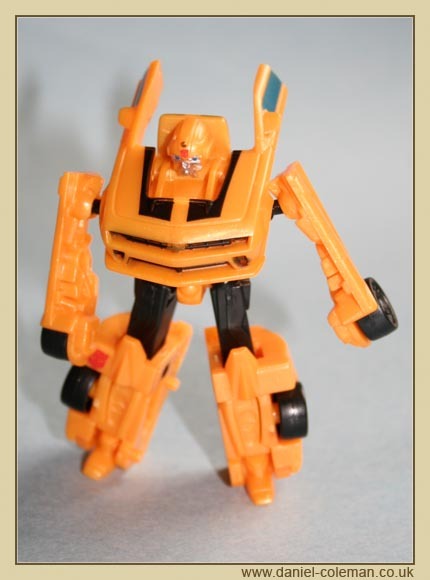 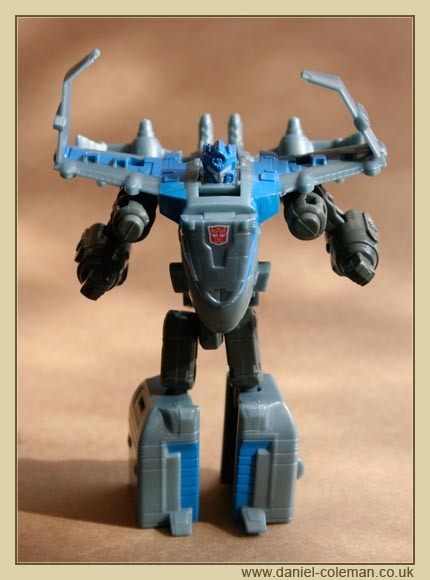 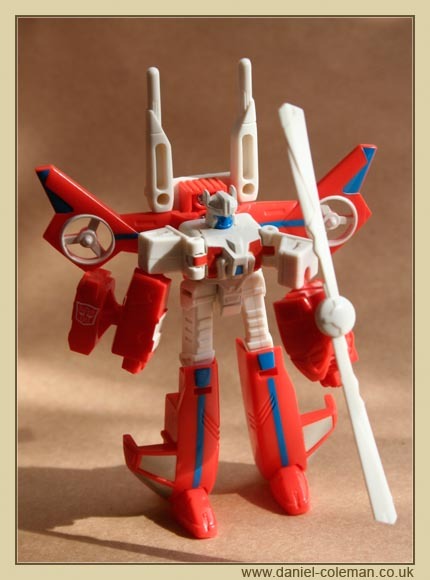 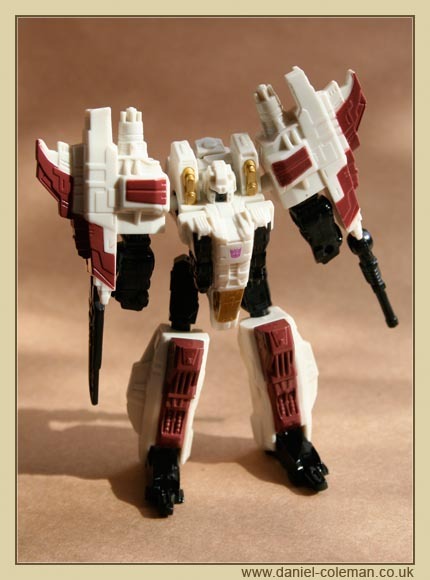 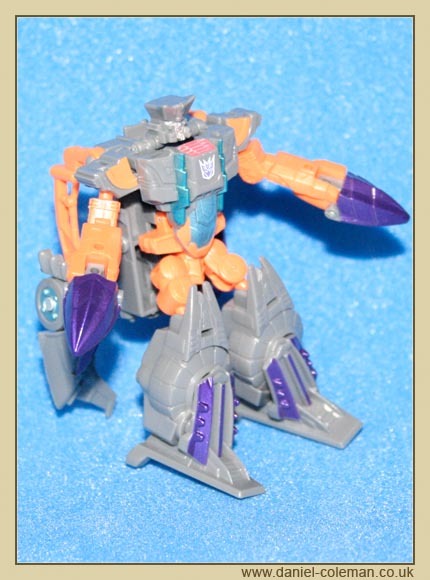 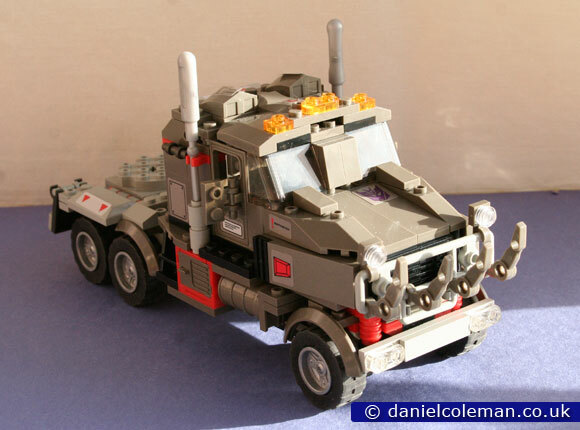 They fall into two categories, Autobots (goodies) and Decepticons (baddies). 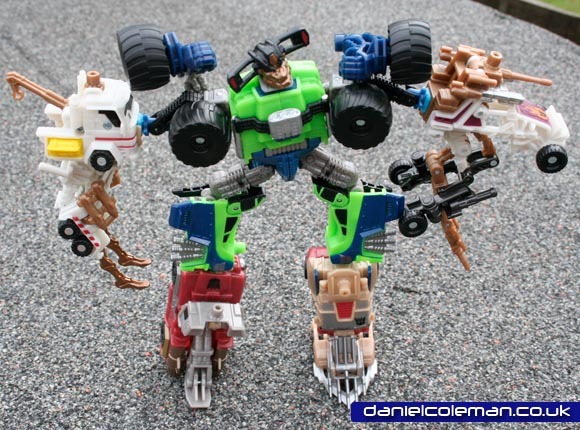 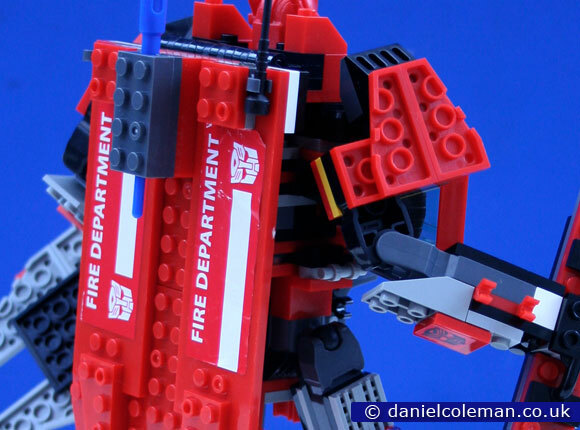 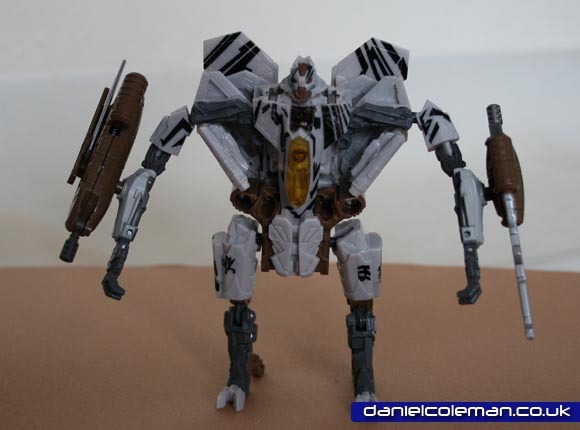 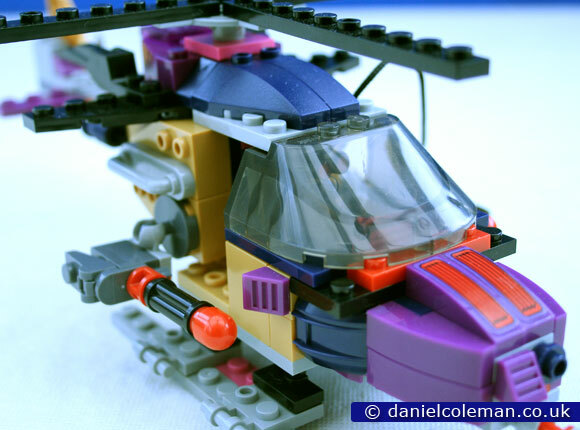 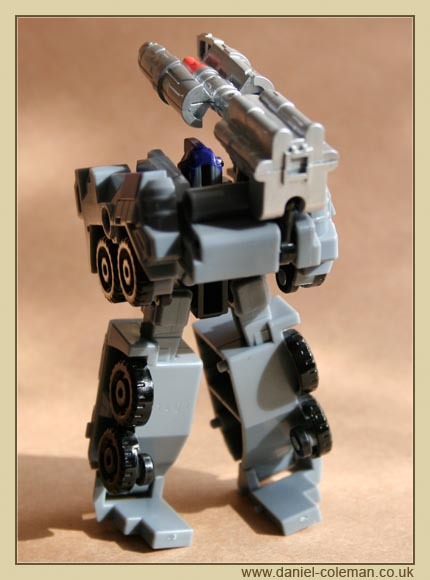 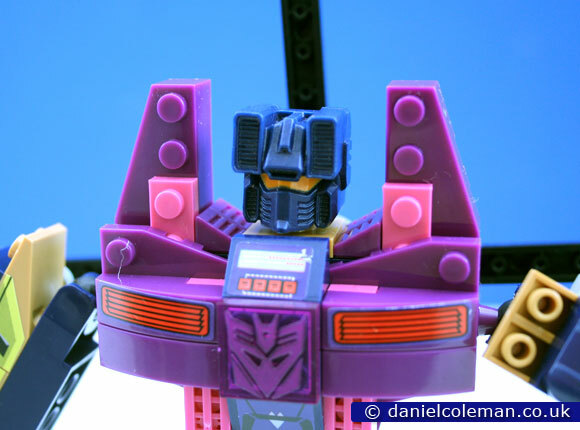 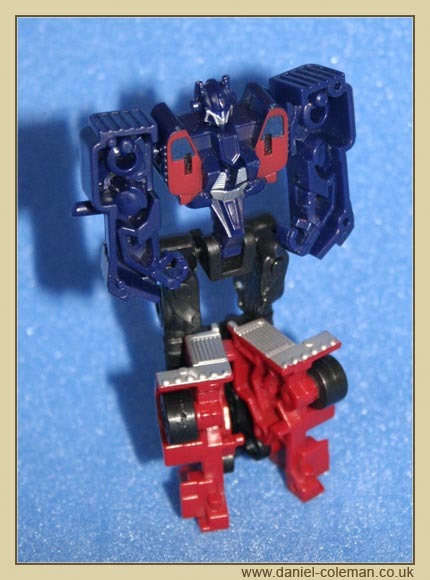 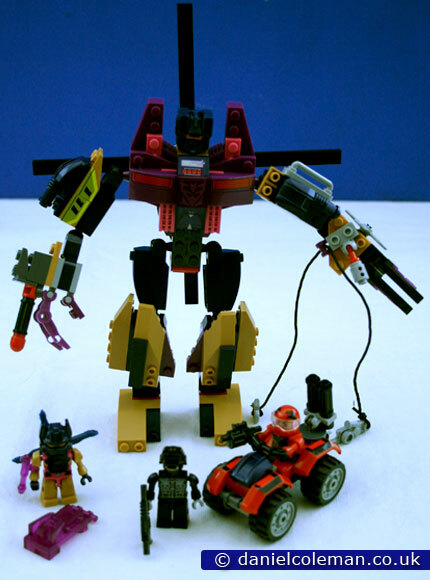 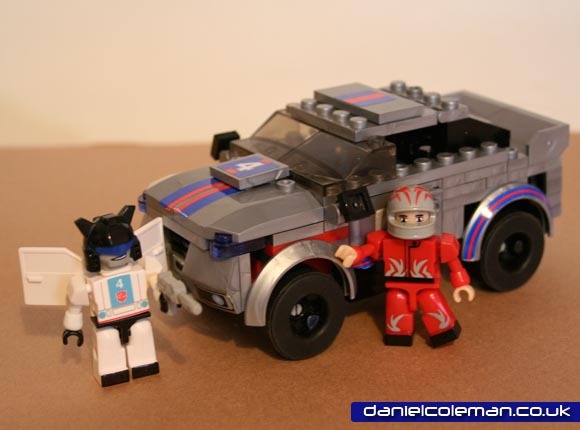 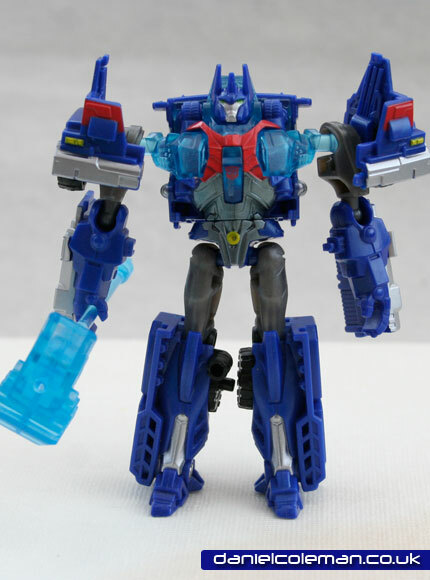 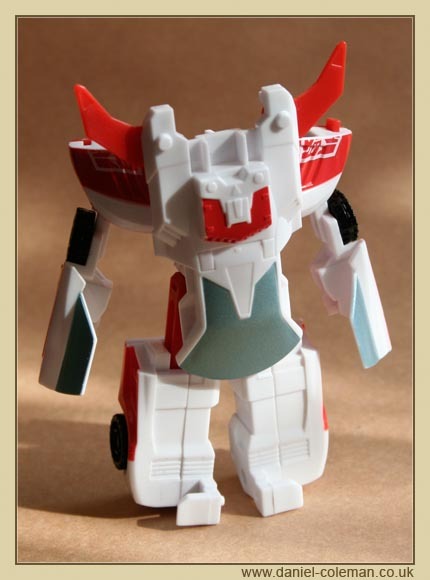 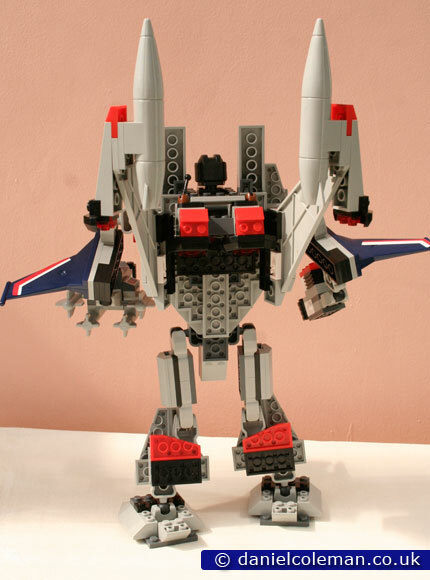 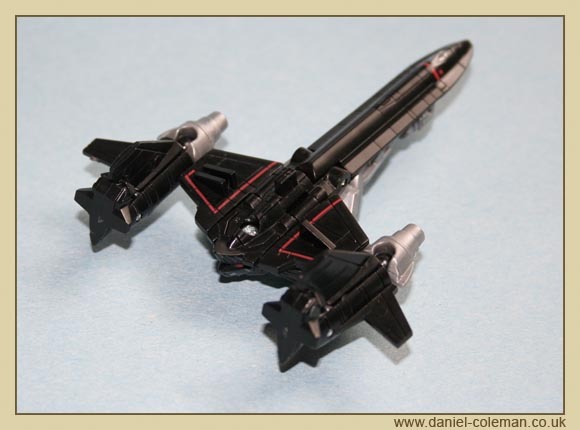 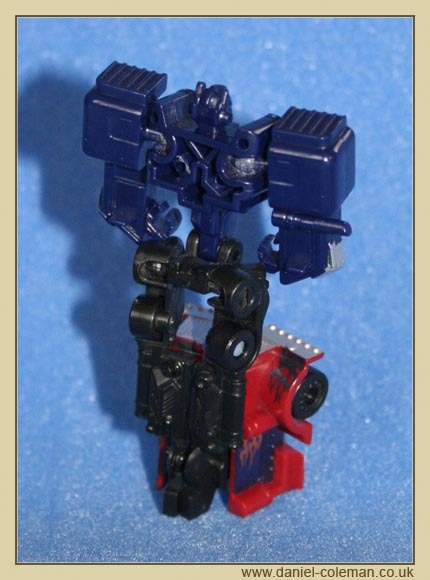 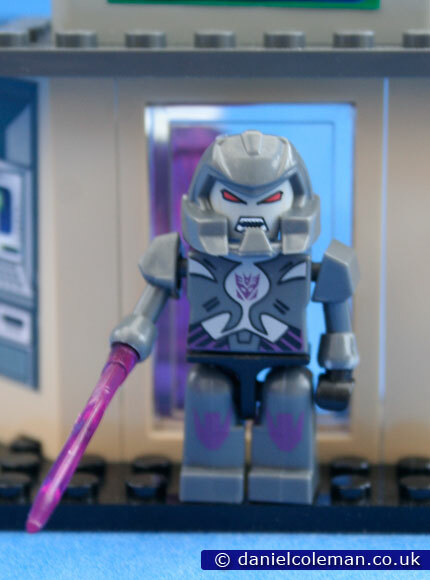 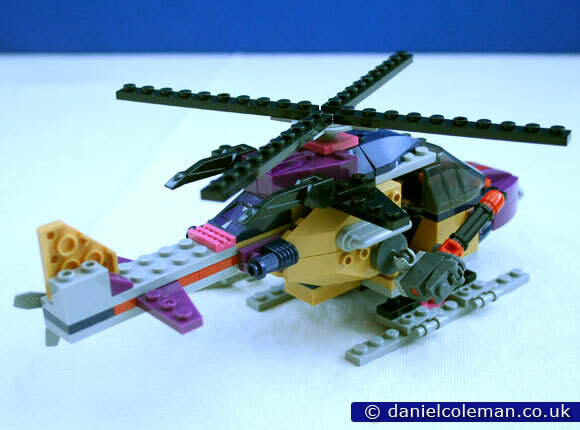 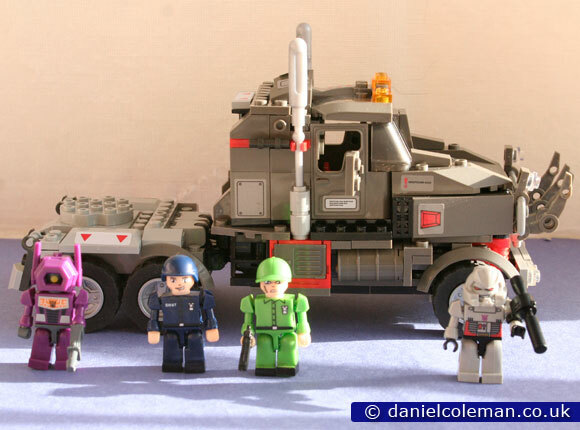 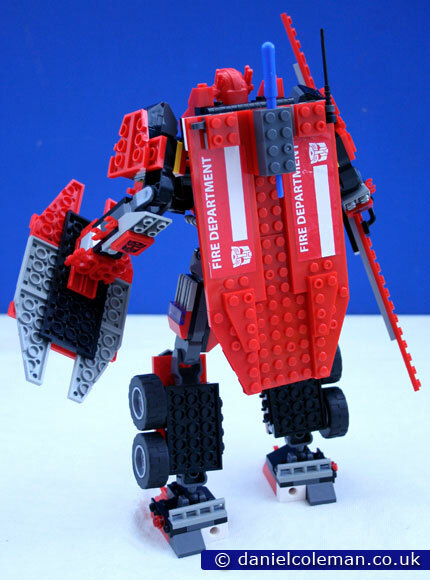 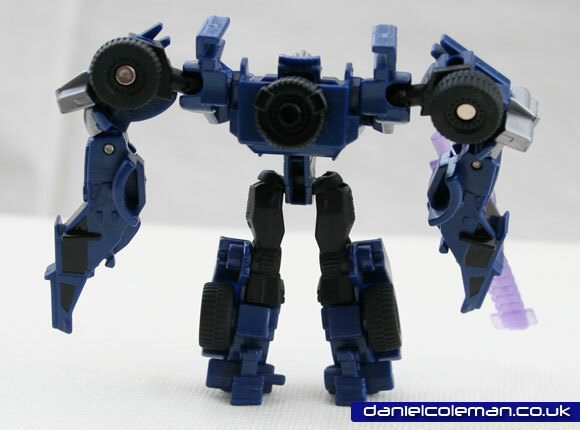 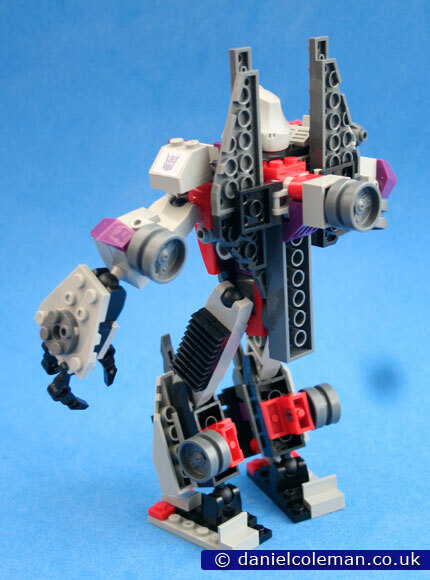 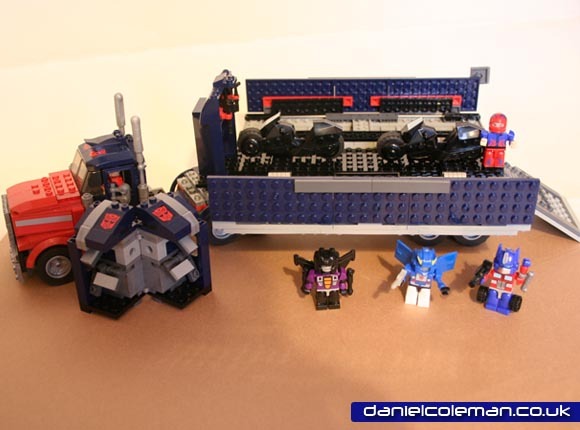 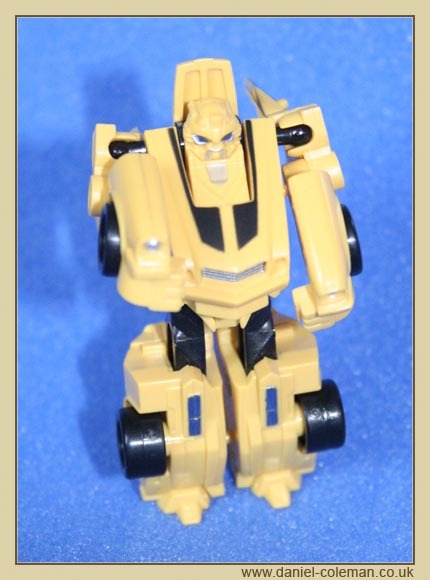 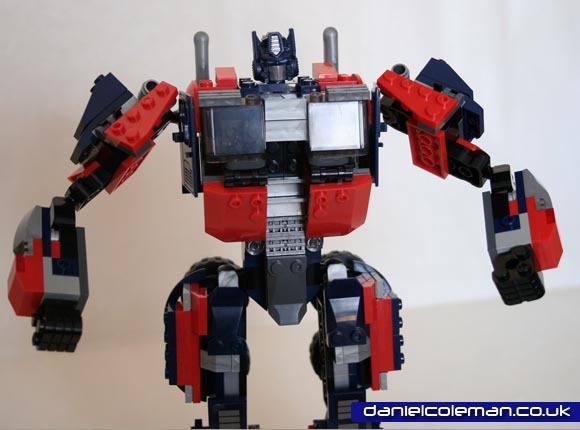 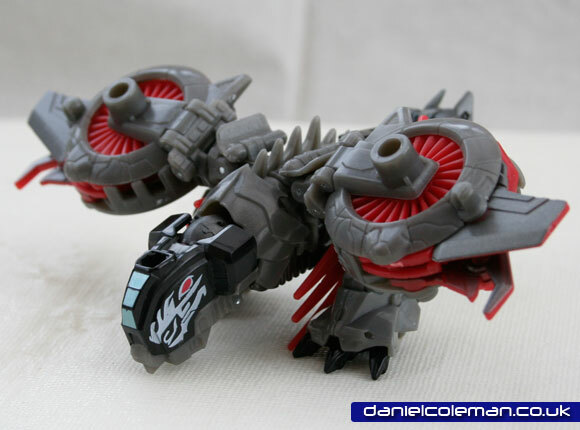 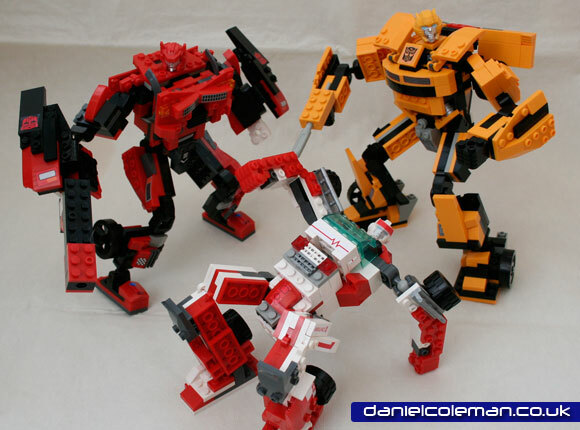 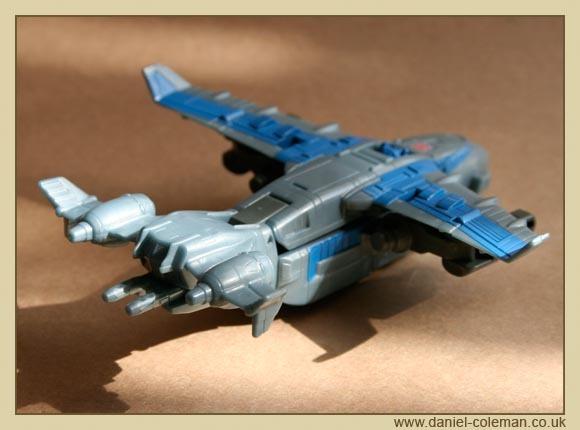 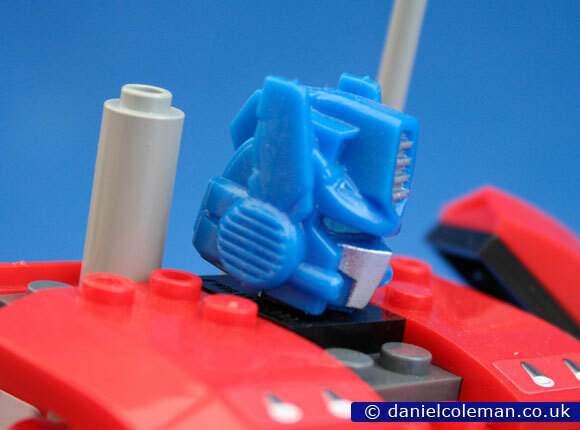 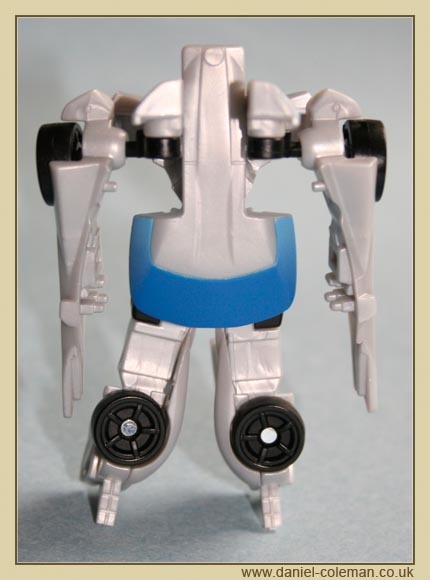 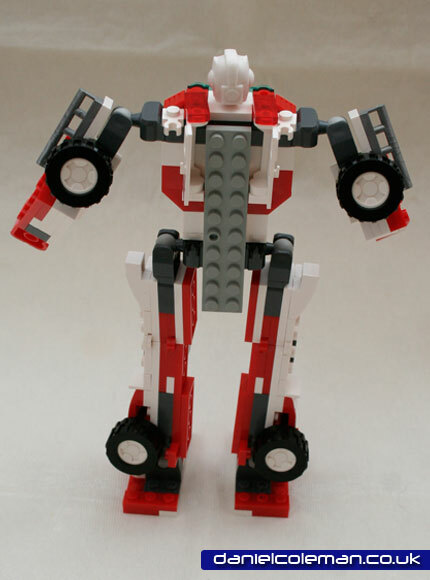 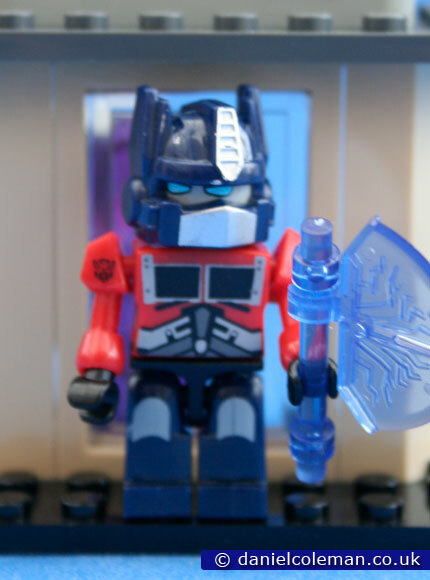 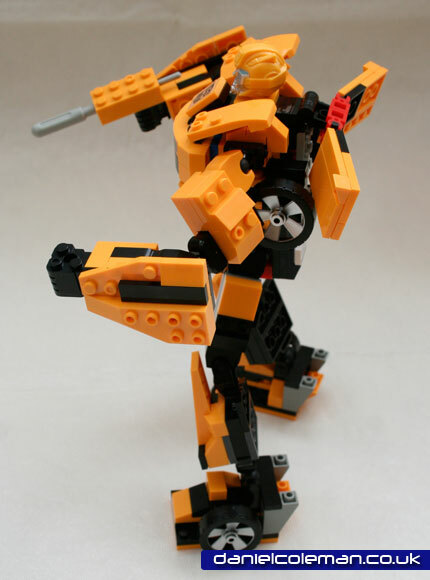 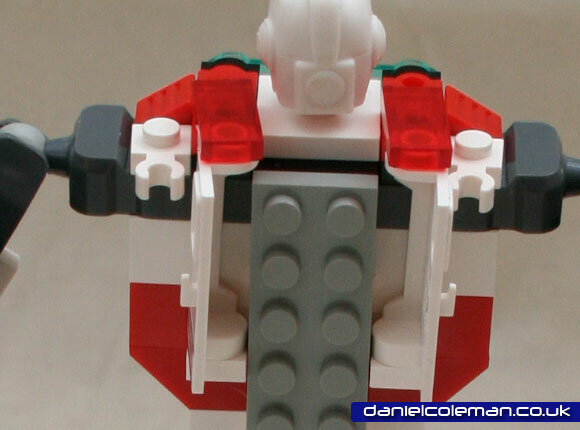 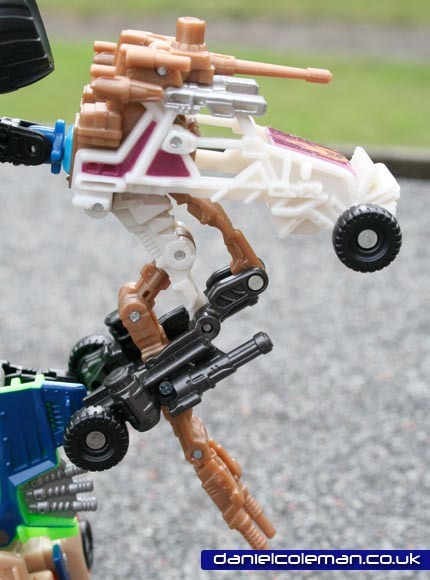 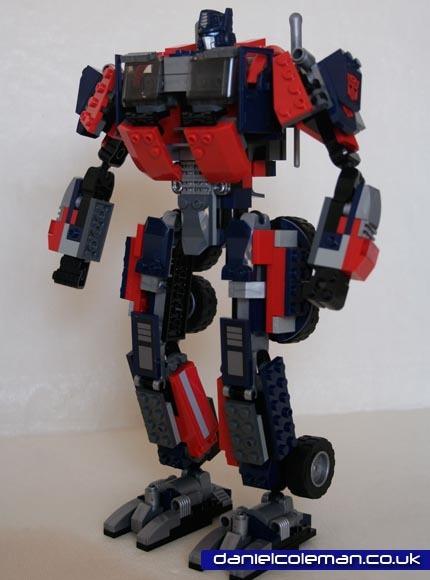 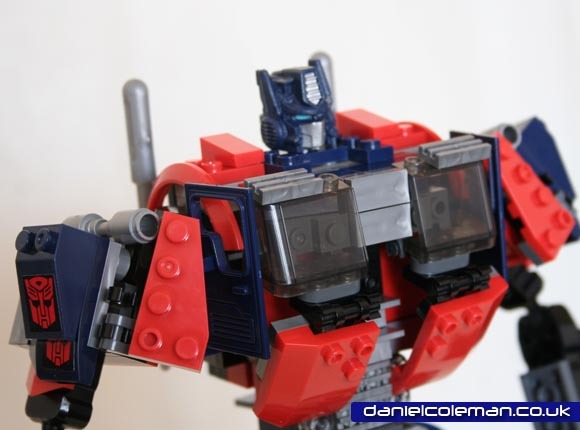 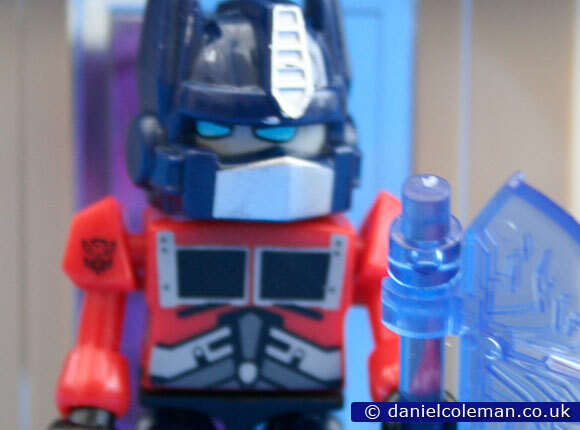 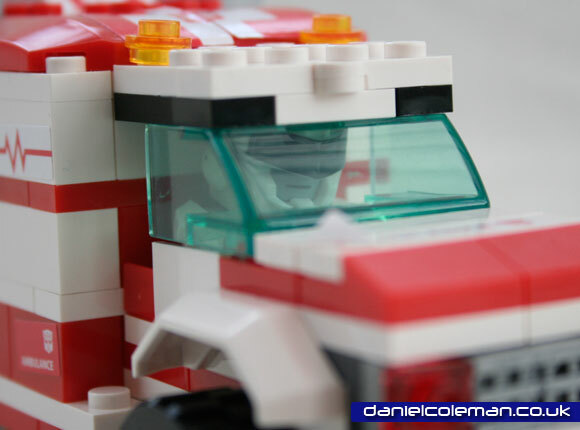 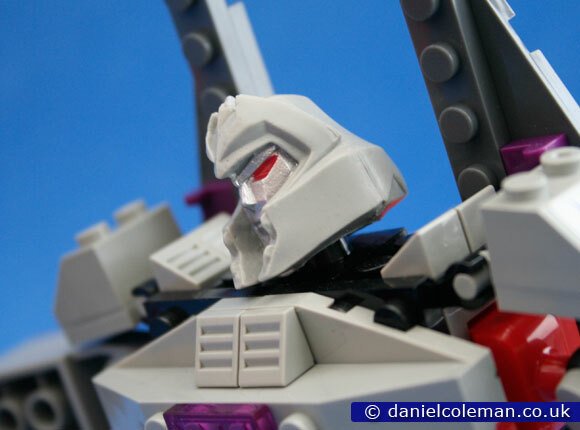 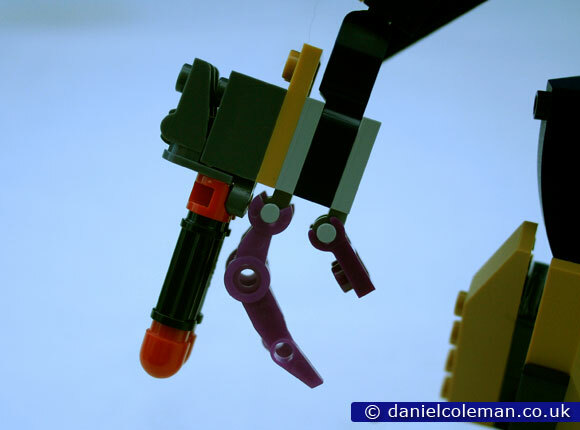 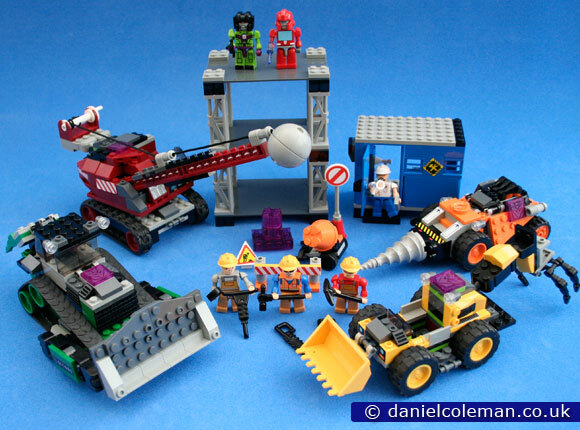 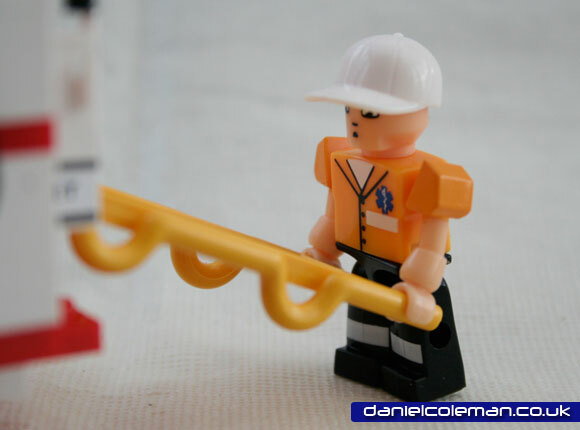 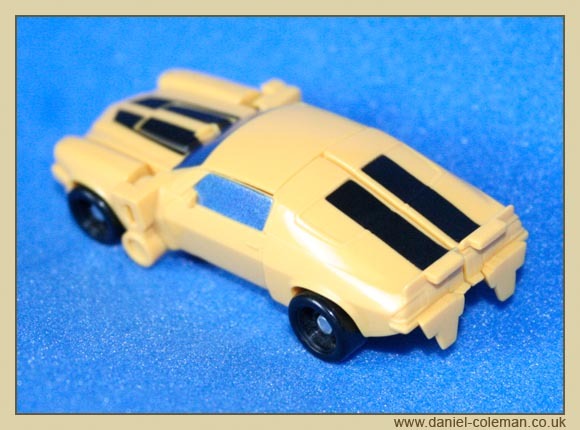 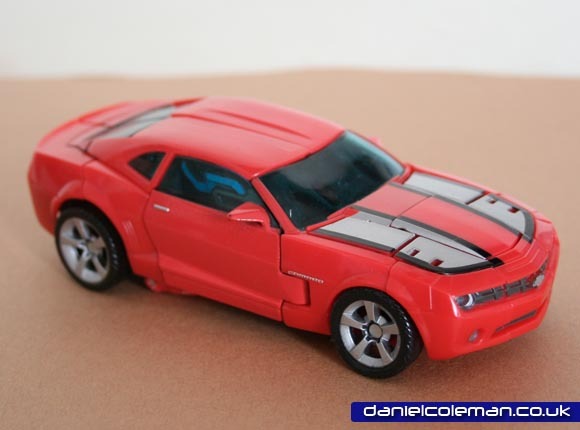 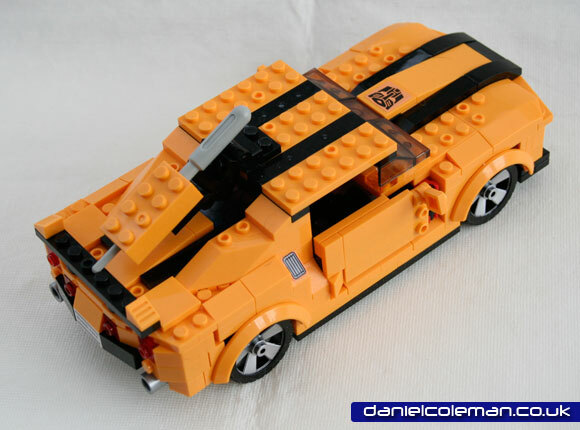 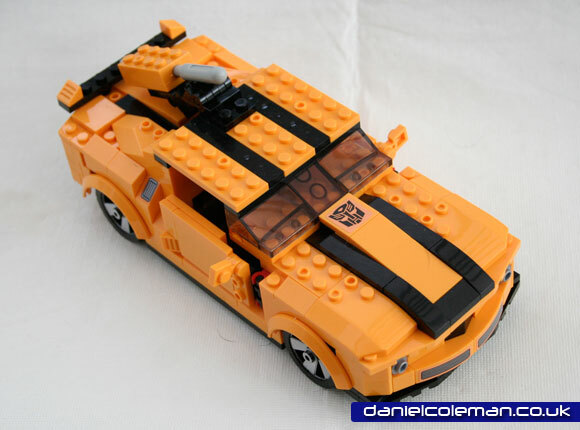 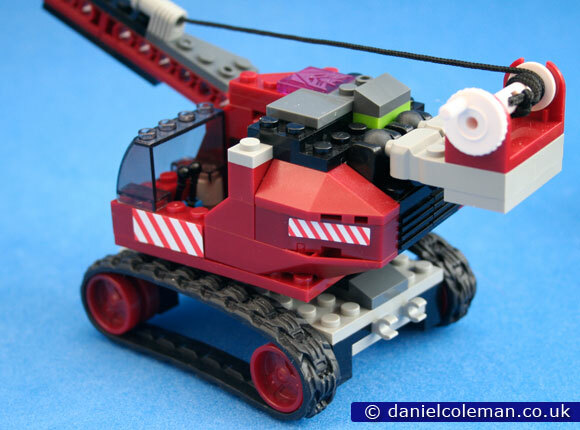 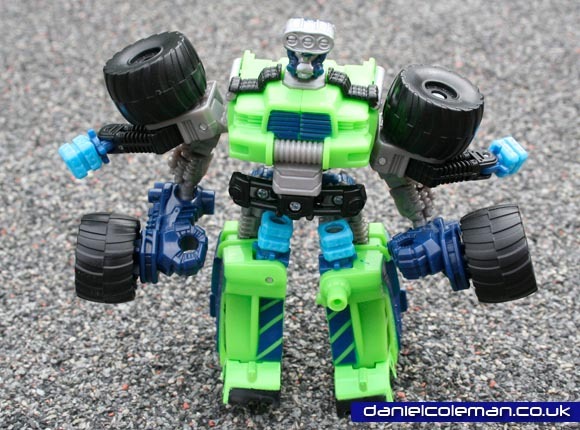 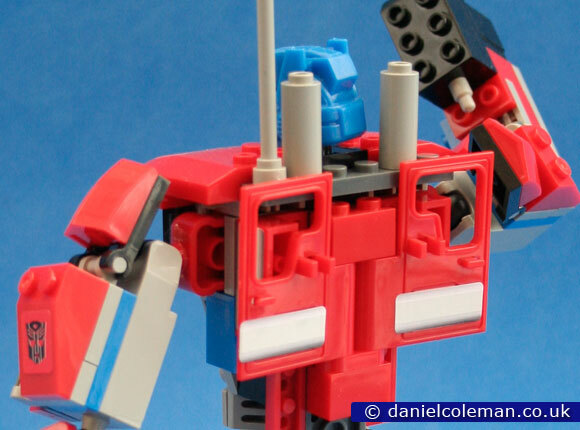 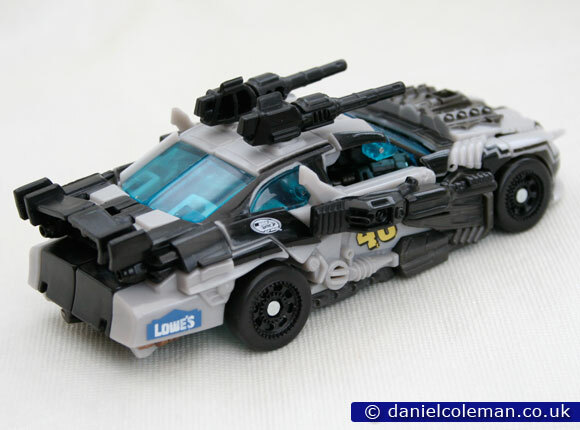 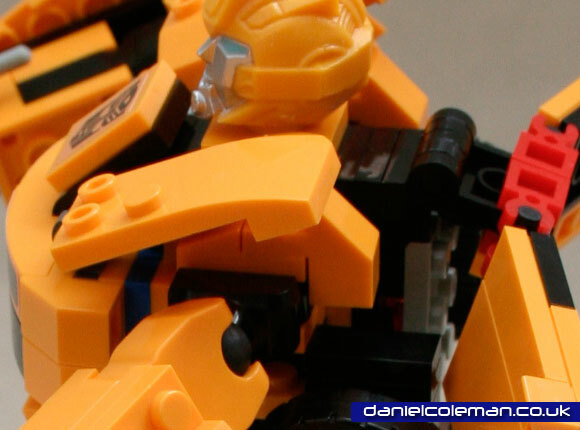 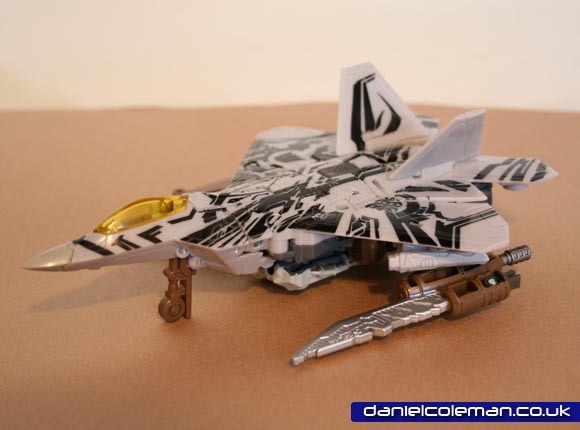 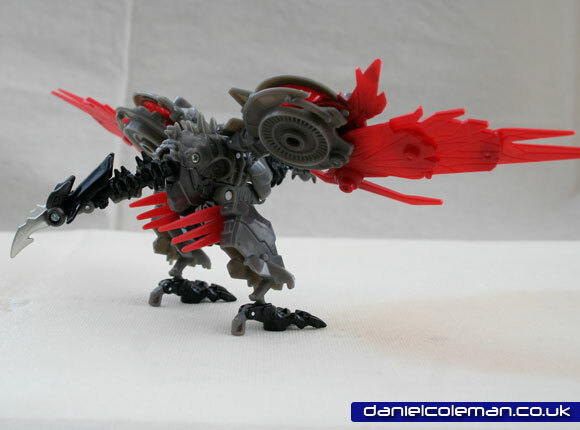 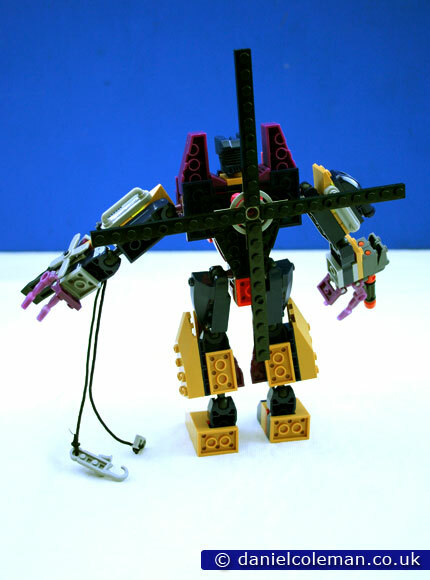 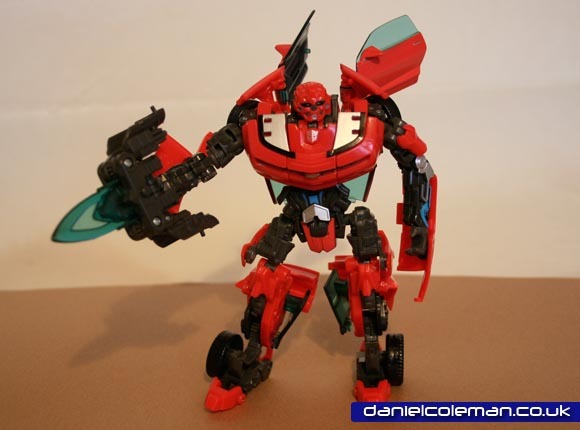 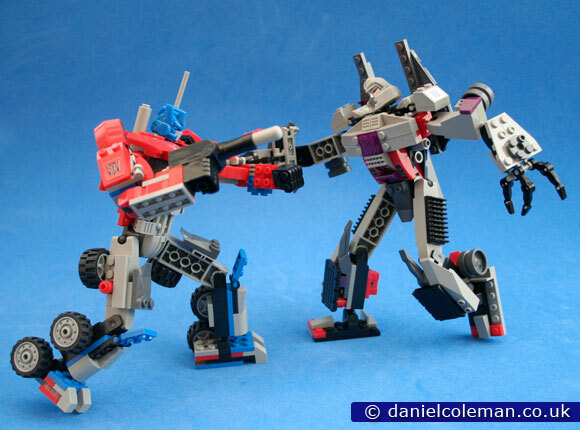 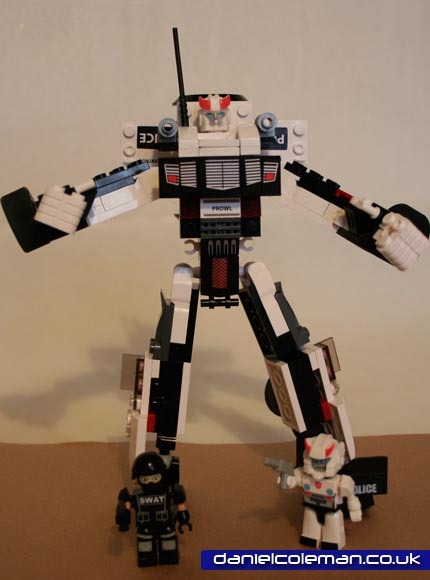 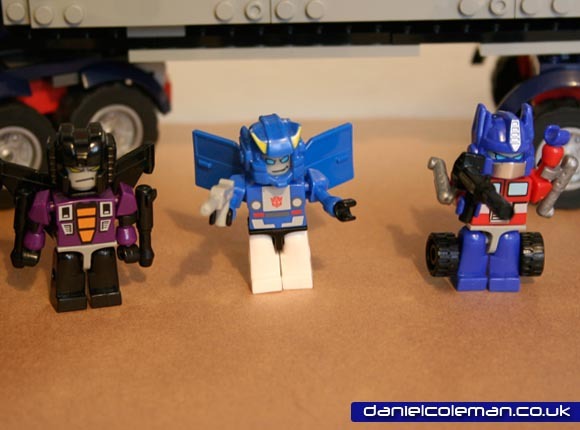 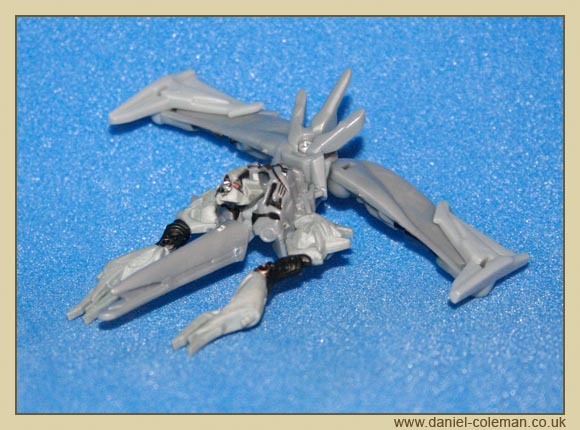 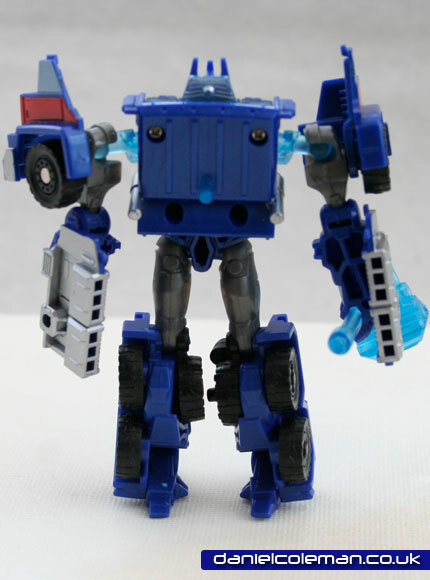 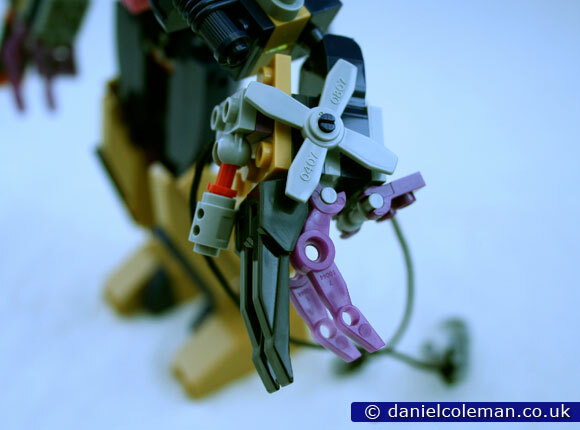 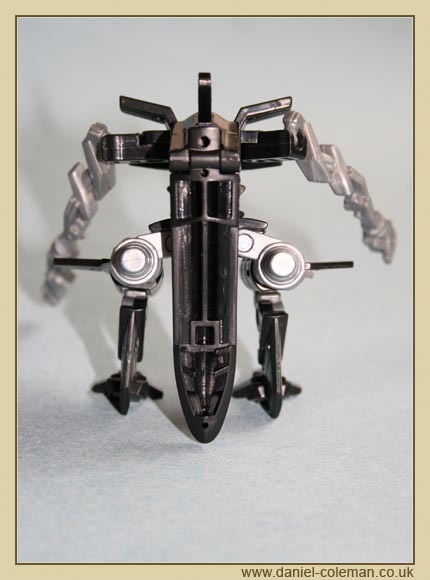 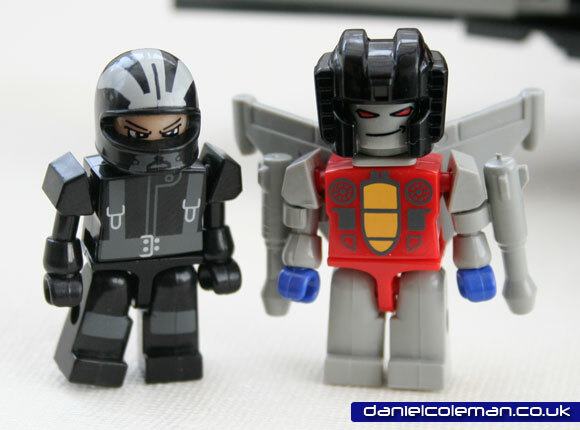 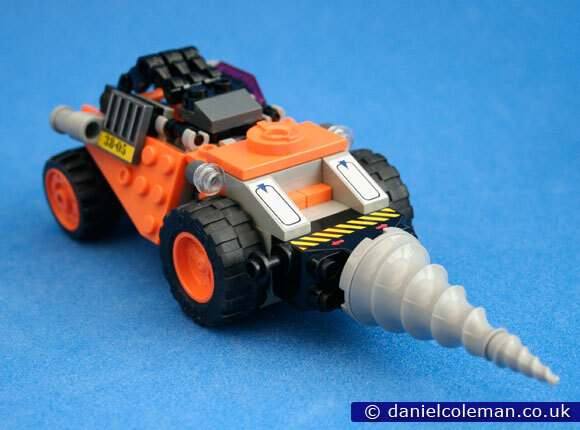 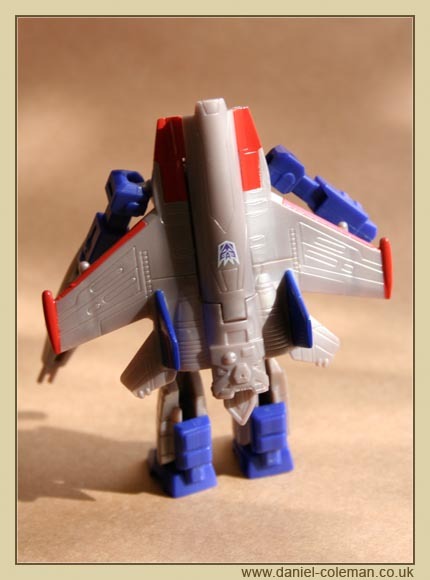 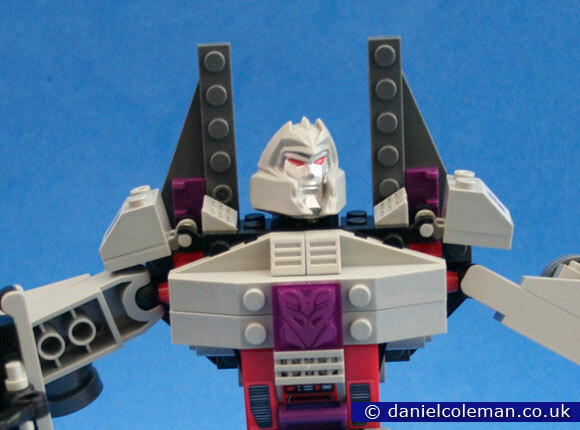 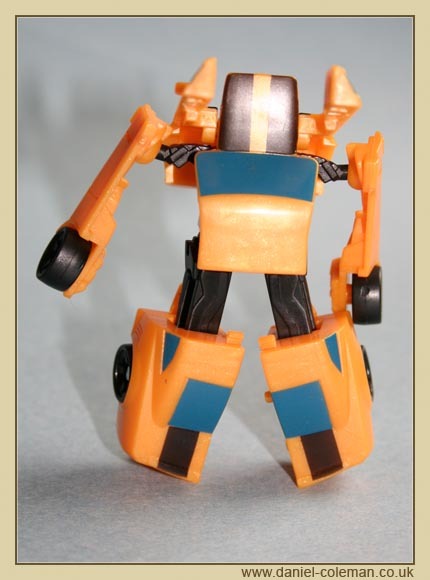 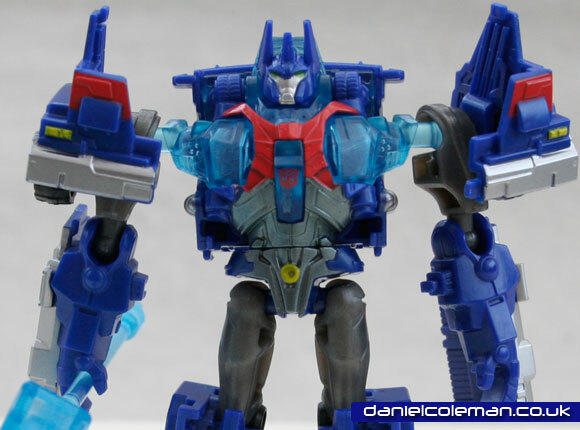 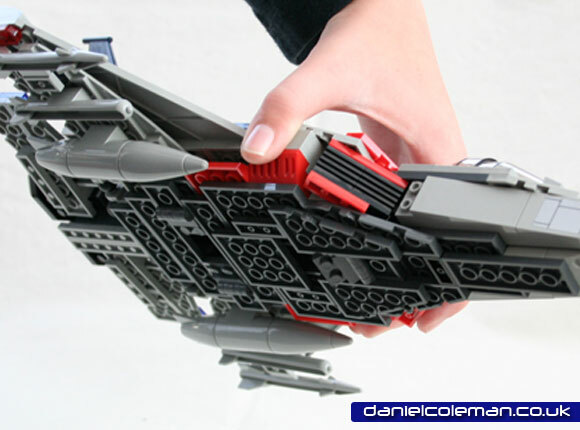 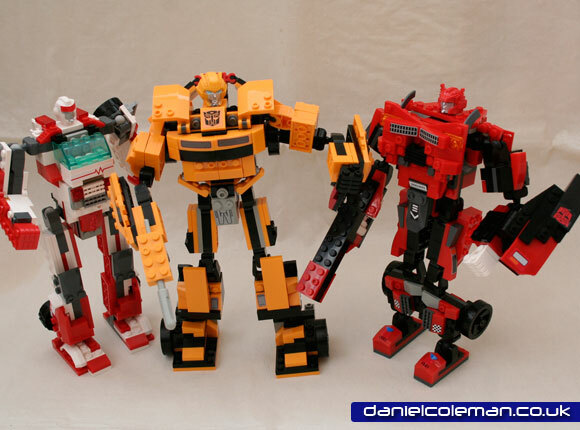 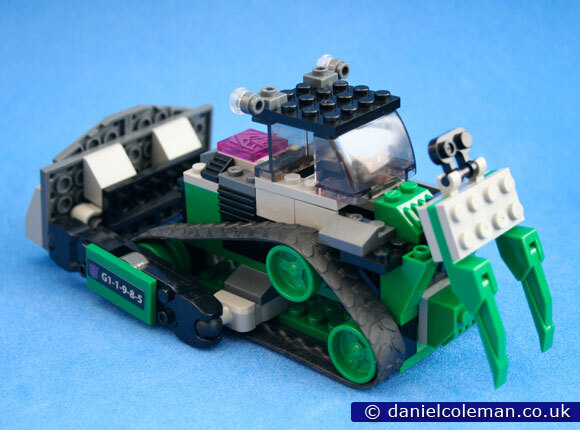 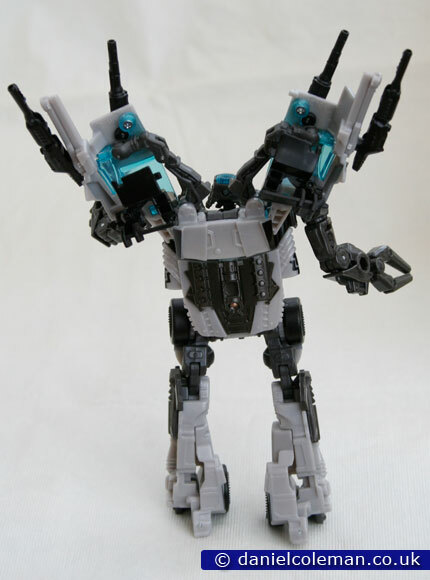 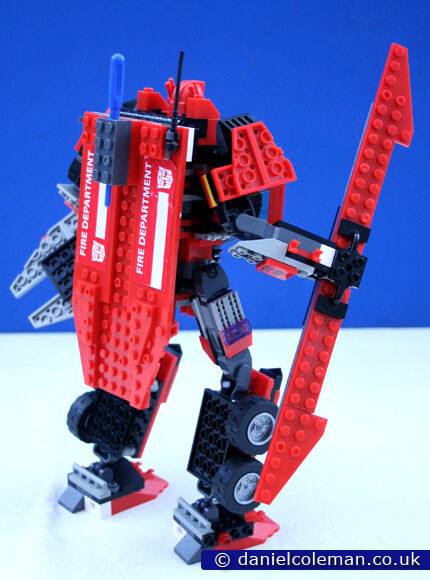 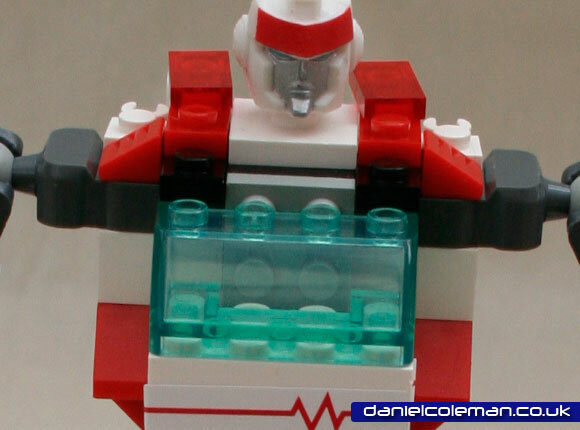 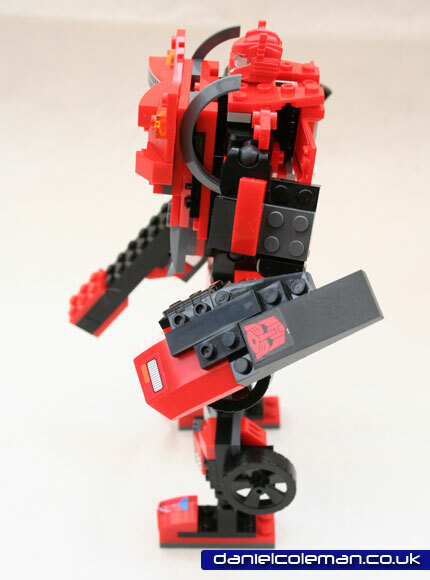 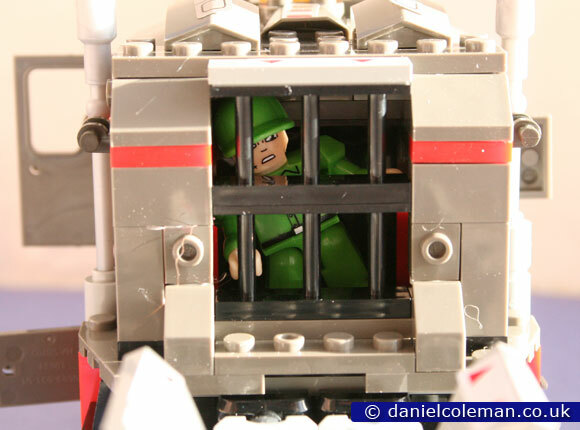 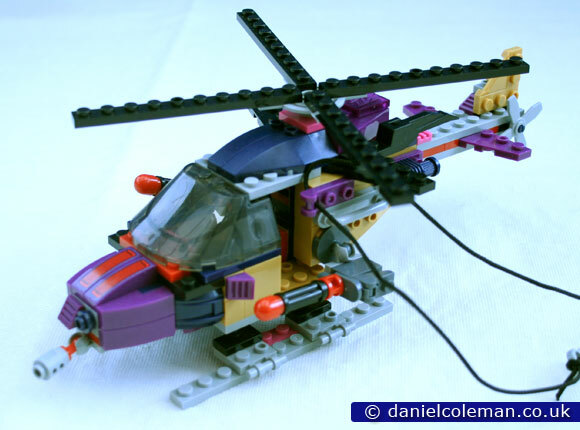 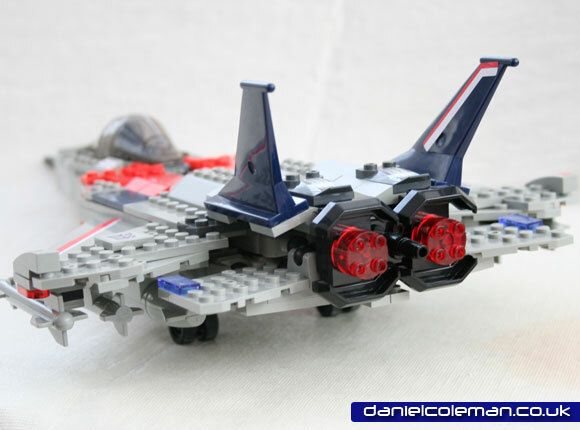 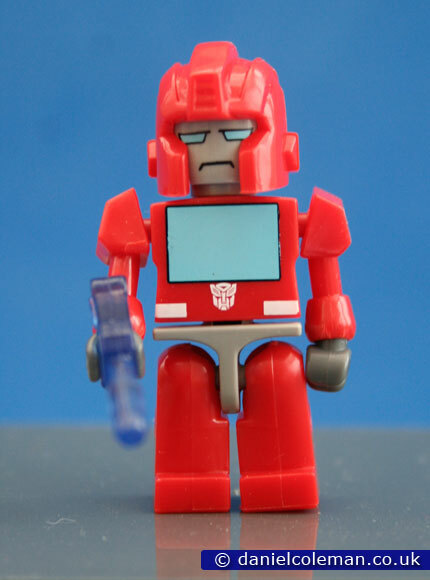 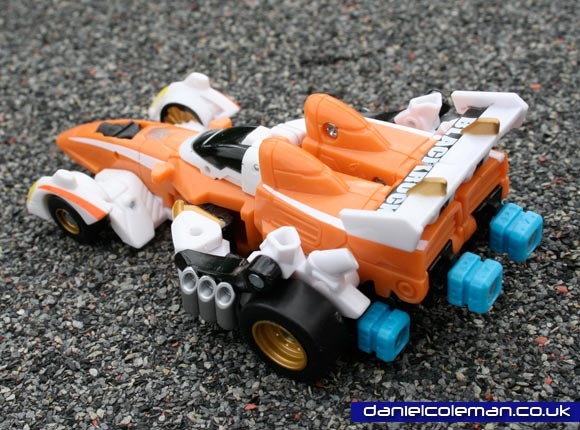 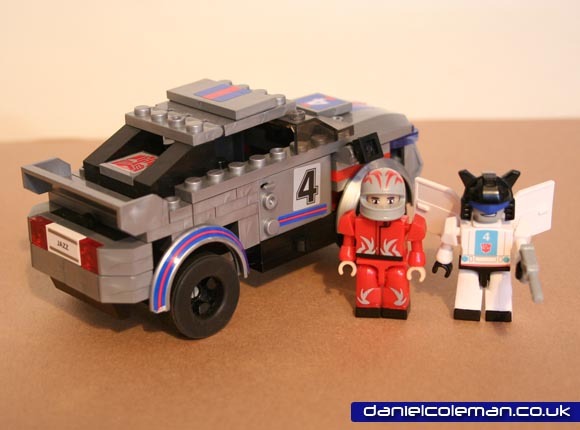 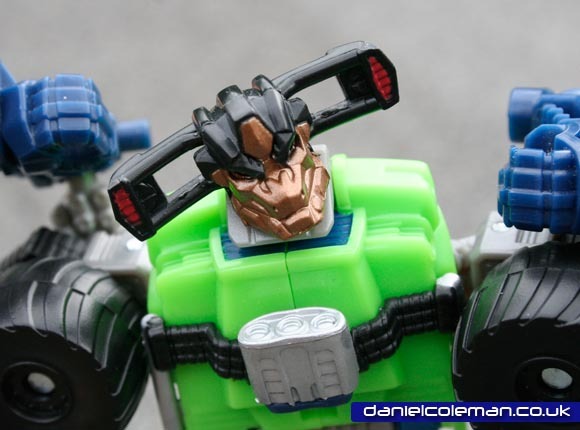 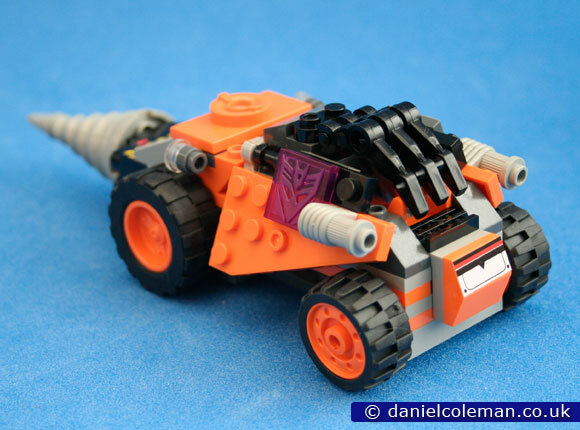 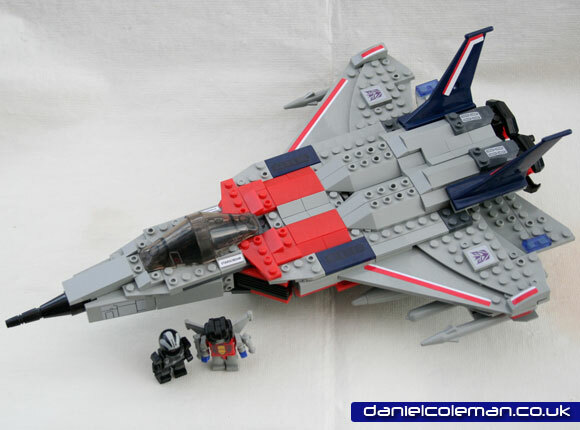 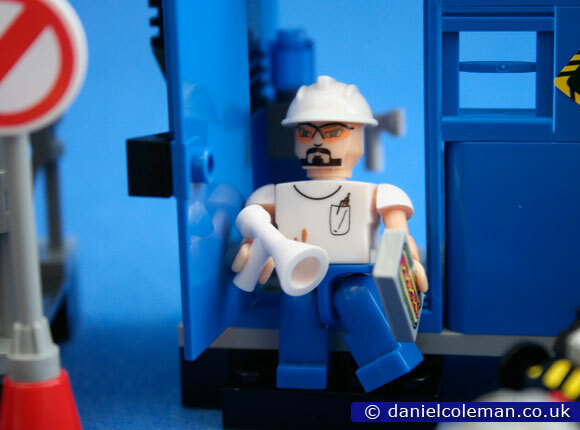 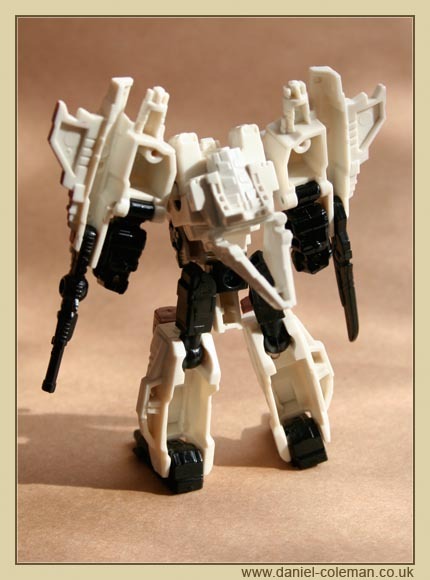 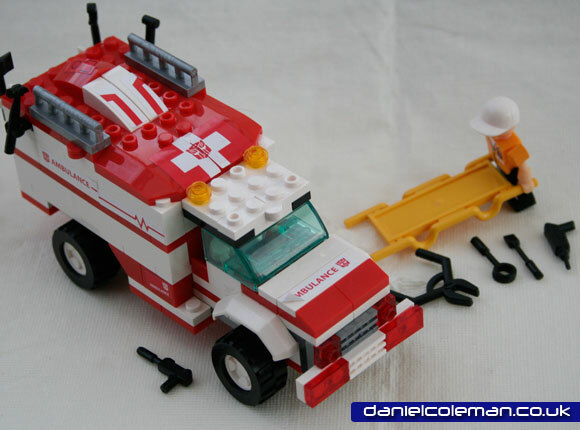 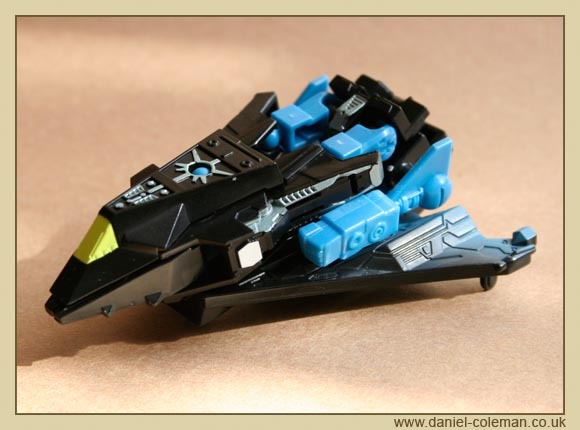 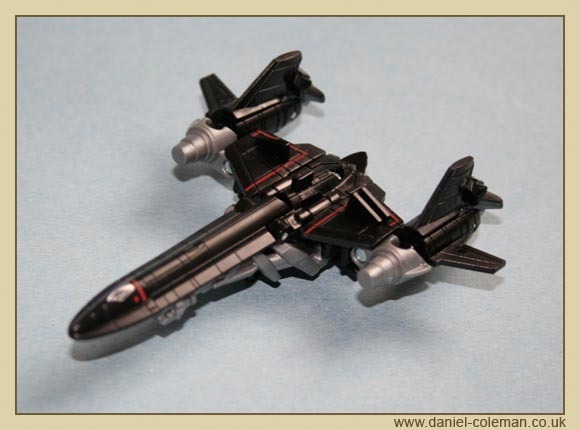 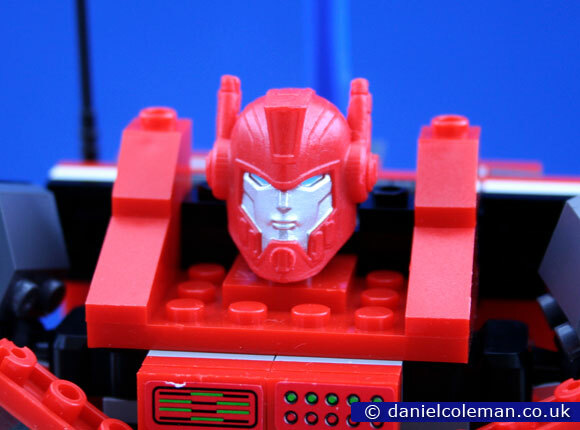 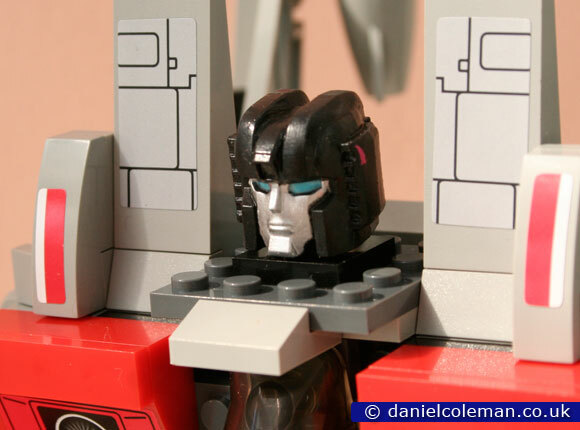 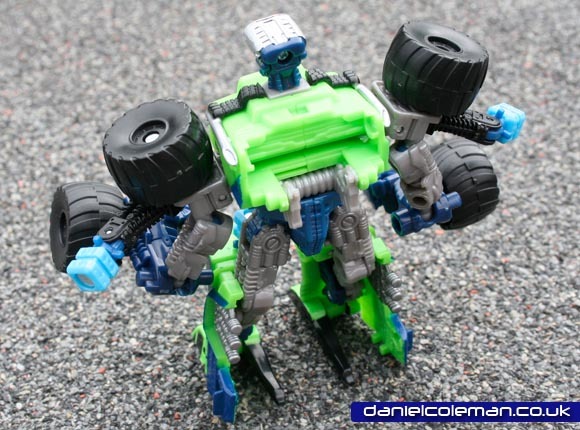 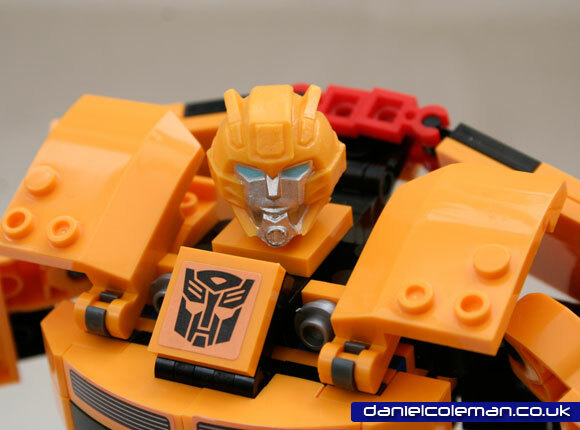 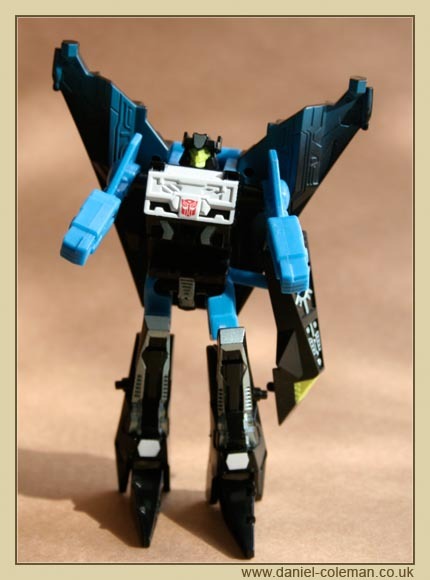 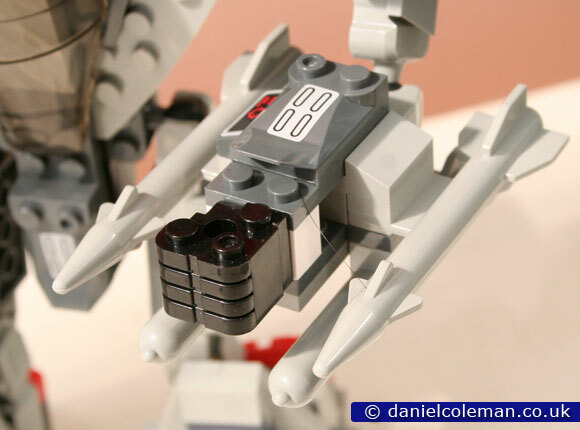 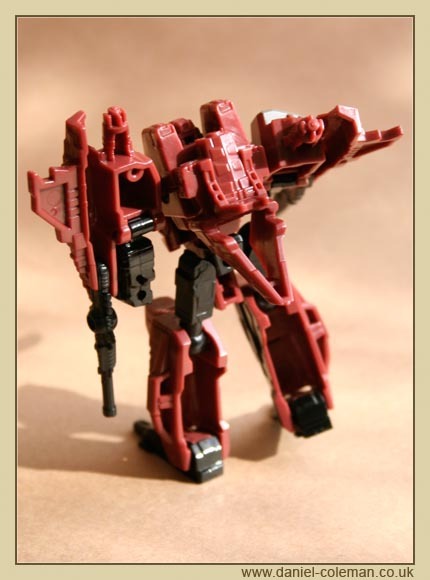 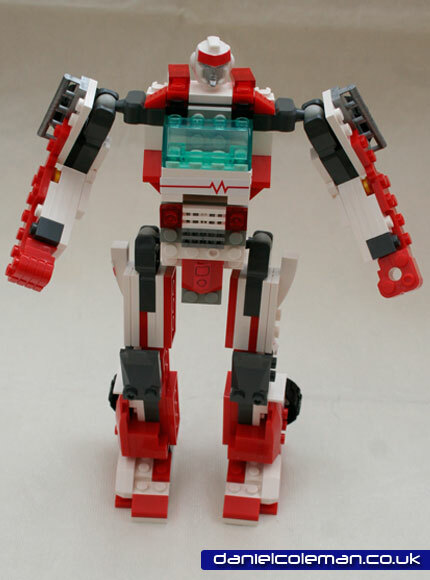 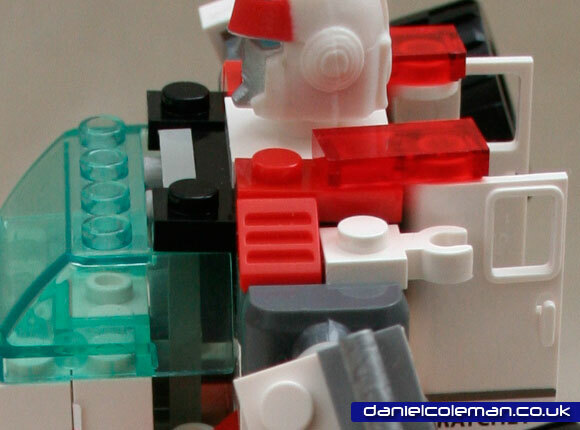 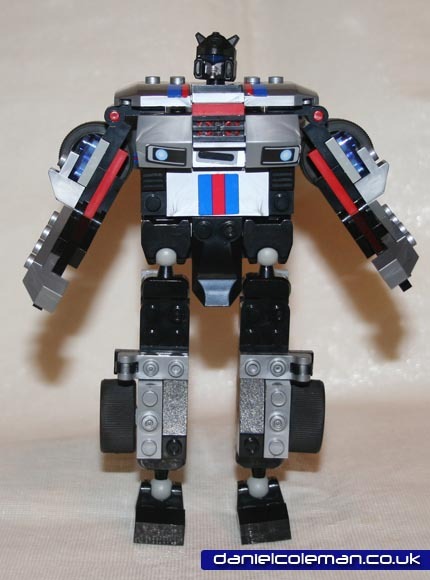 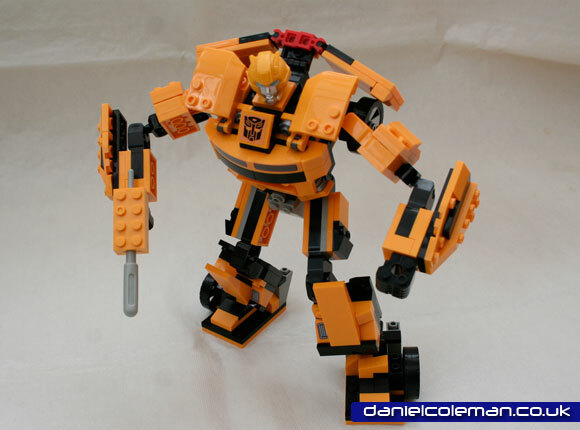 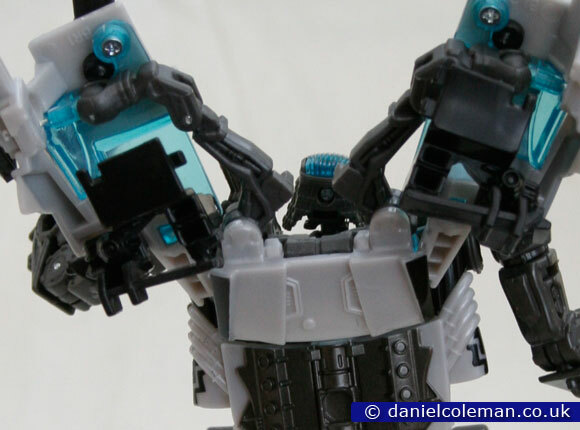 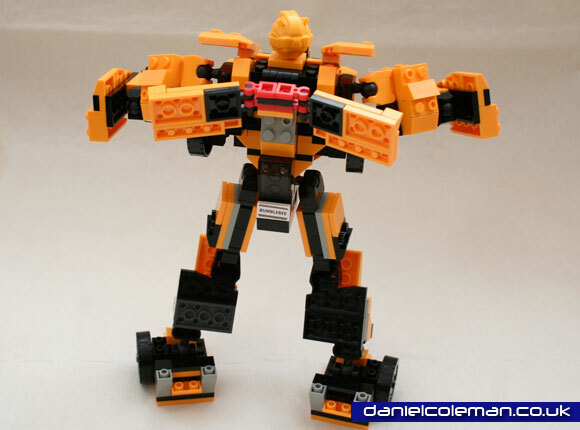 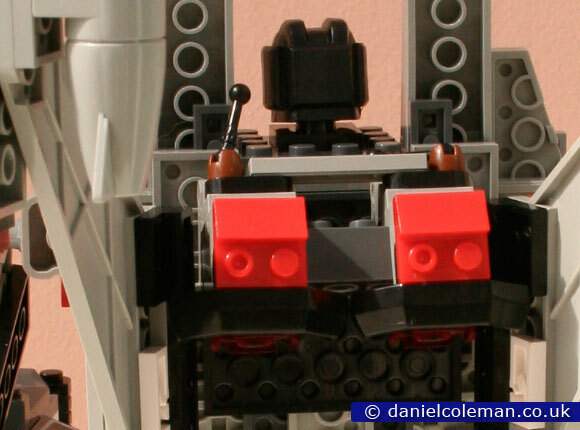 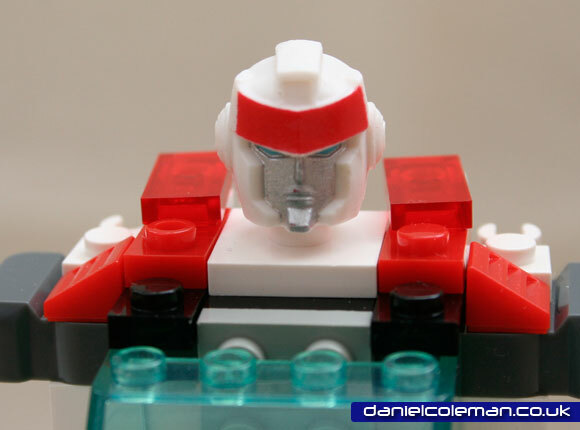 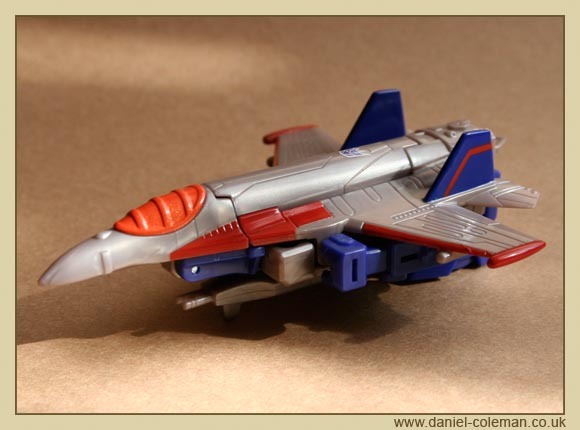 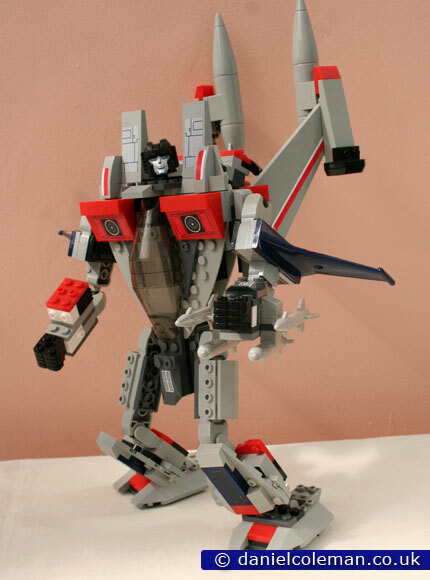 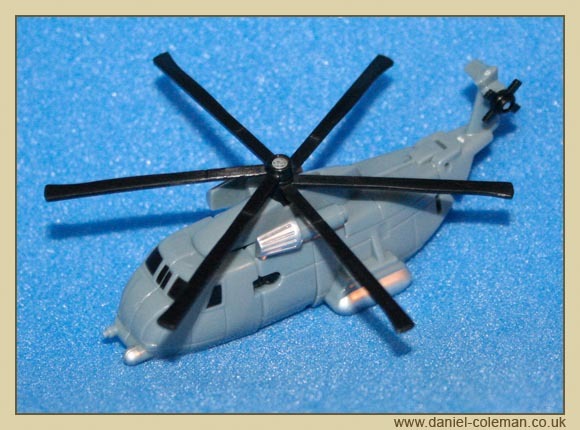 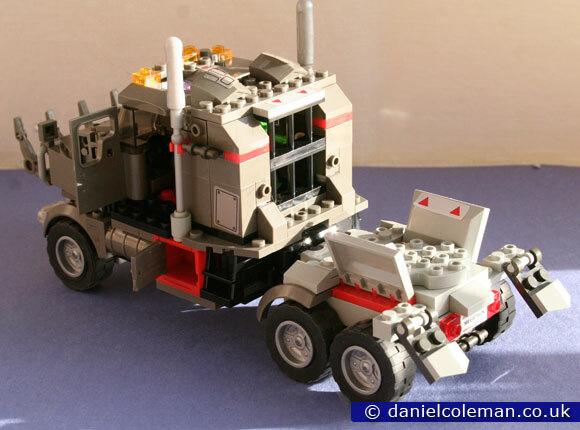 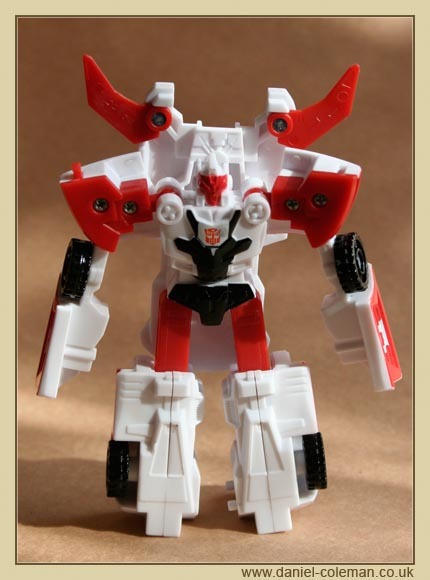 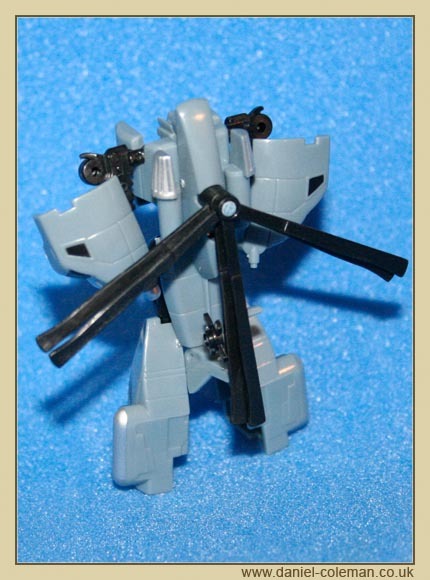 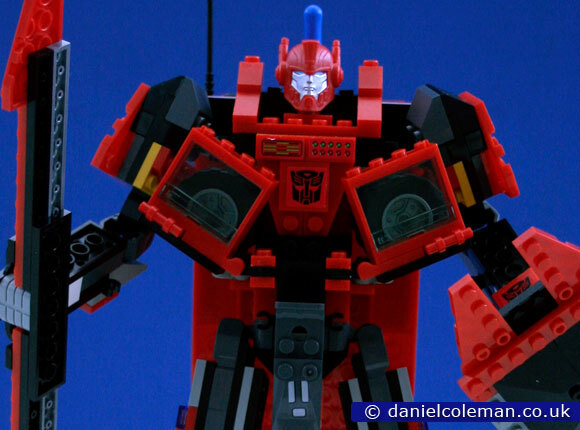 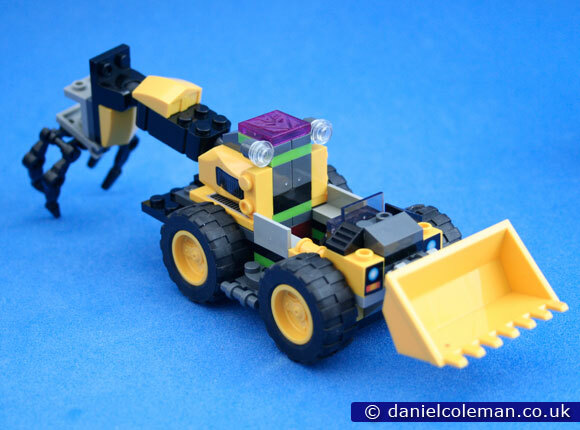 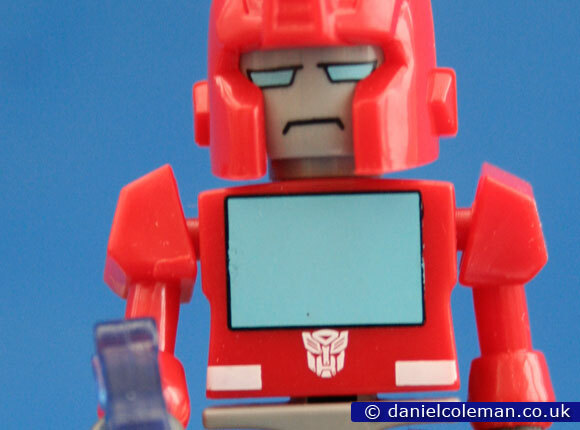 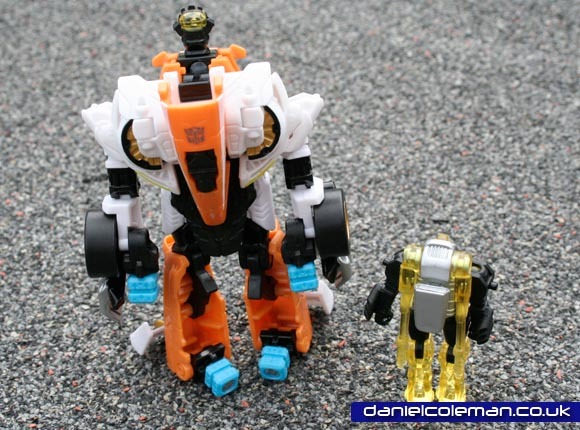 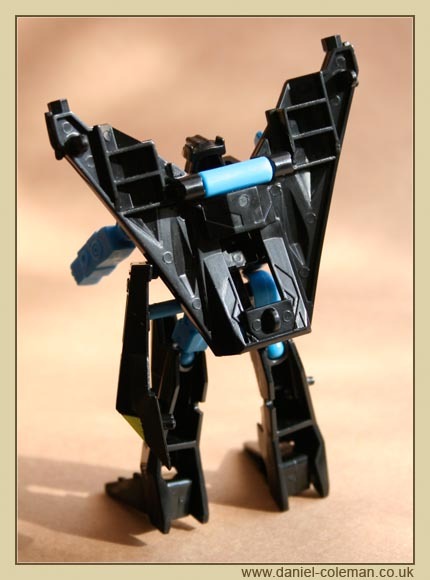 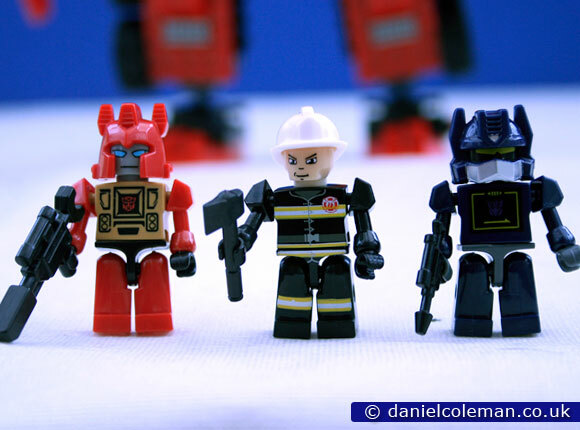 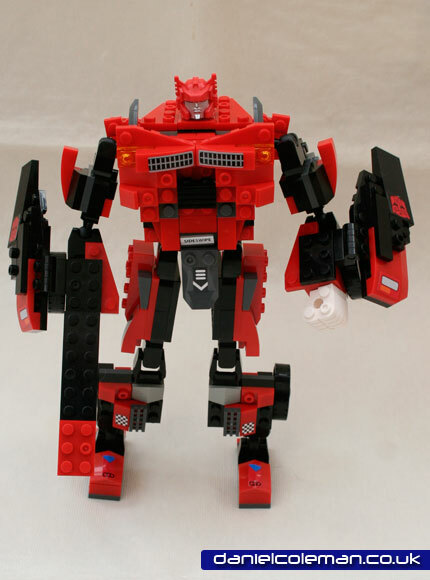 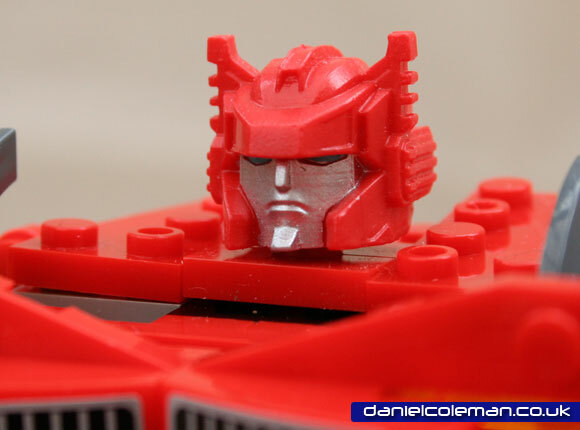 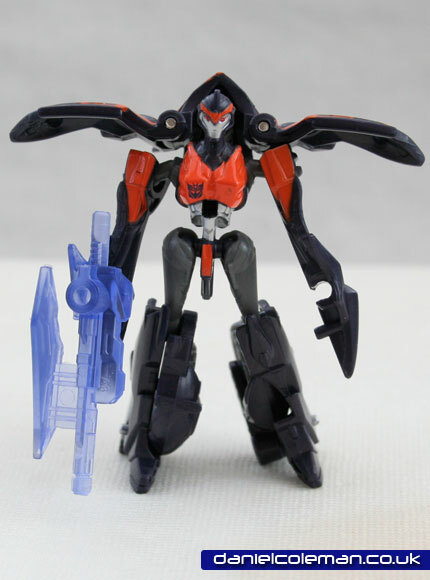 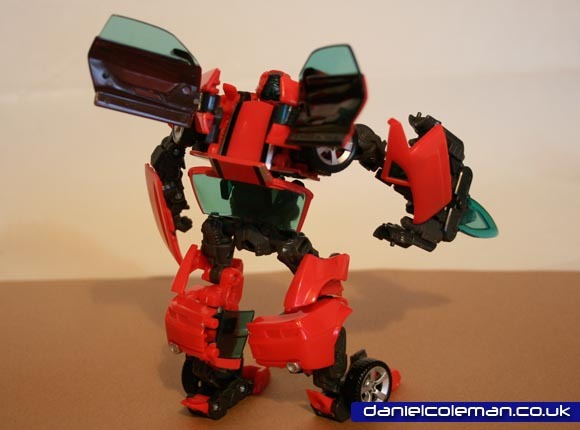 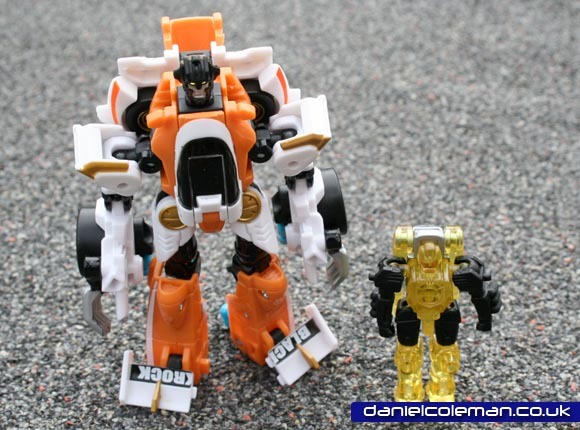 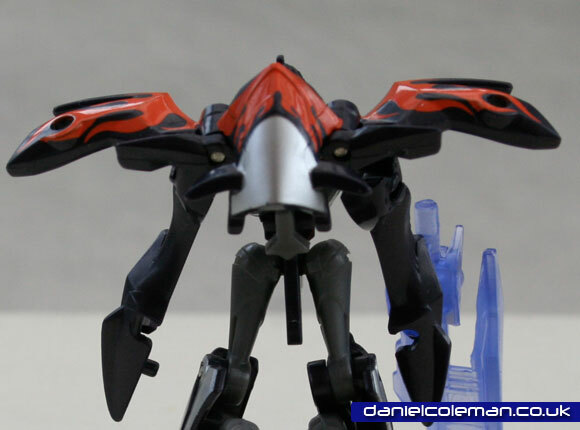 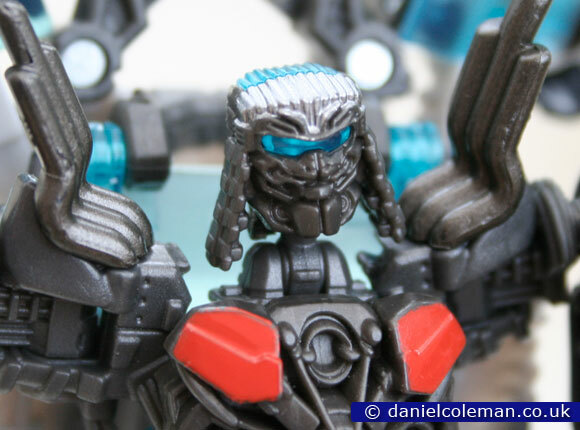 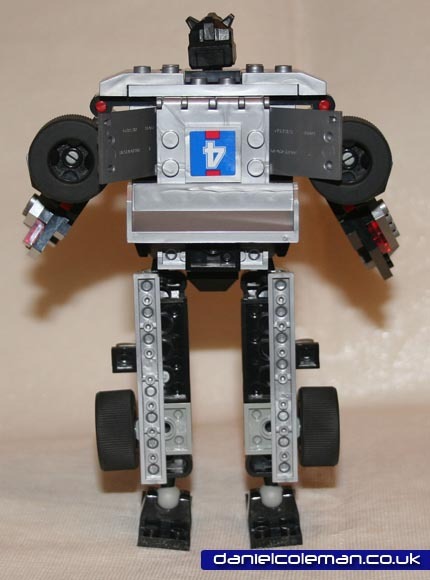 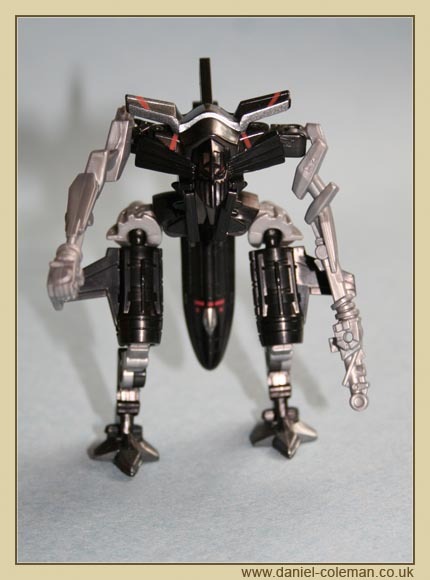 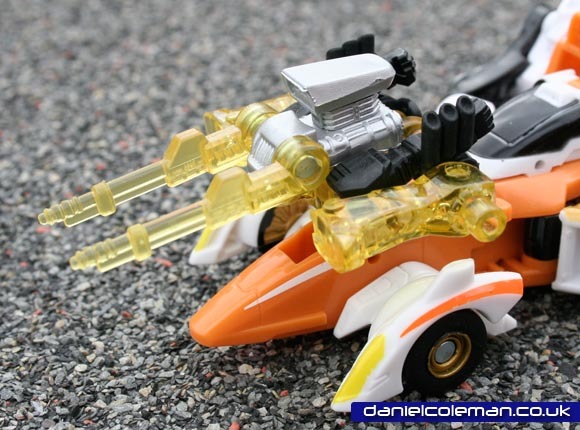 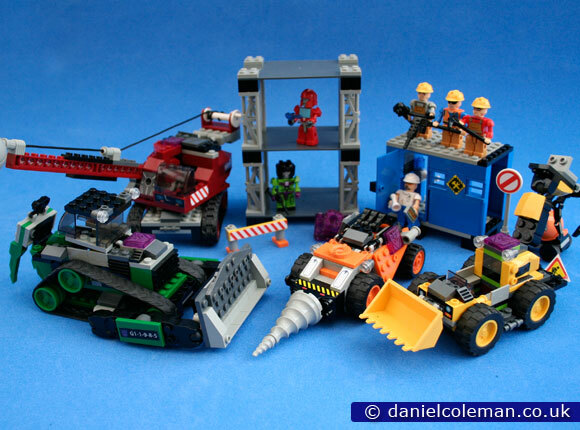 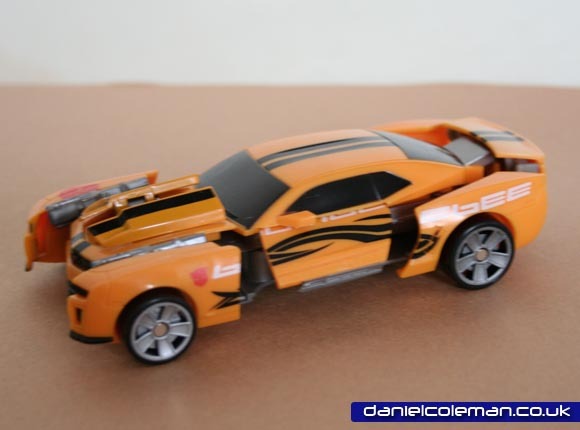 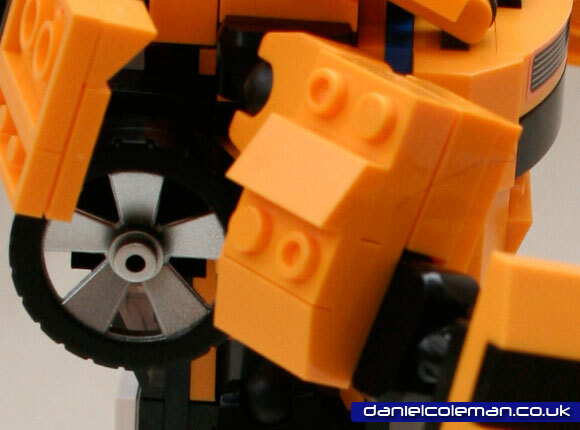 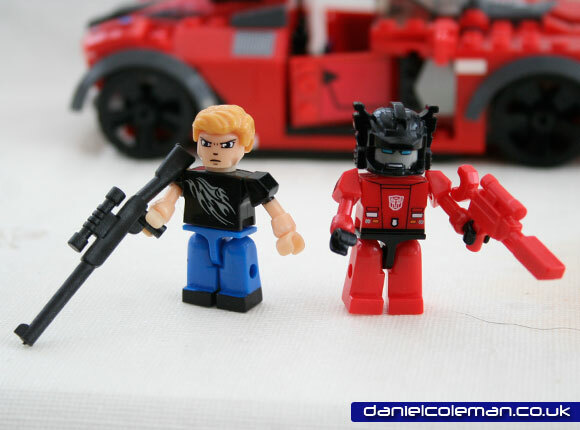 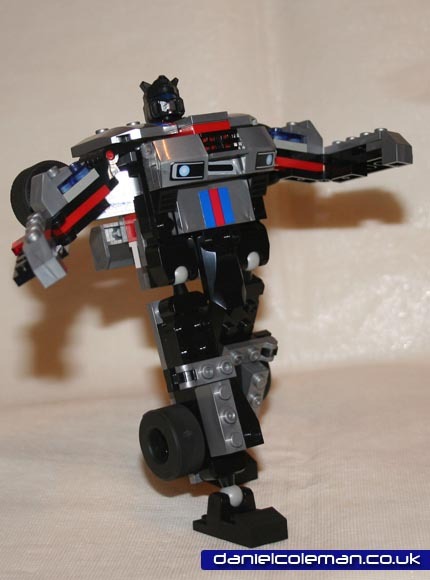 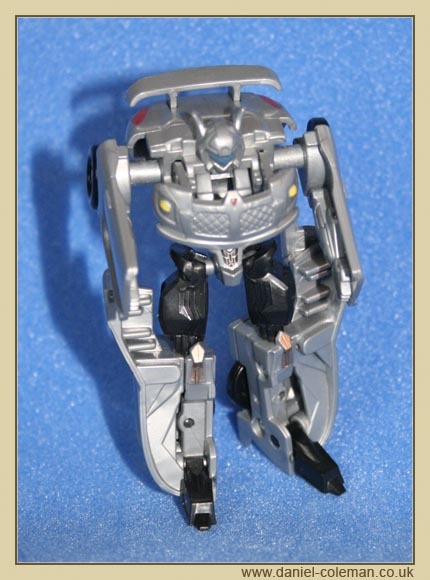 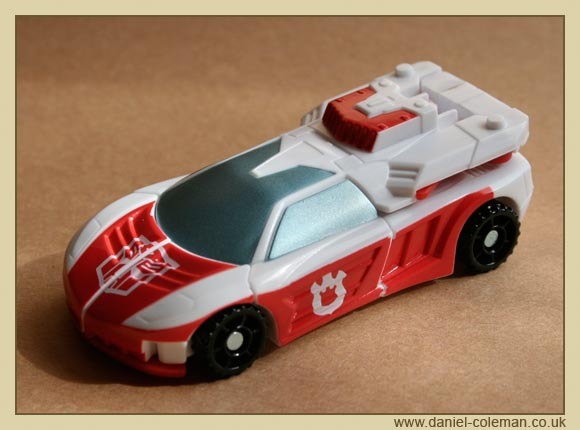 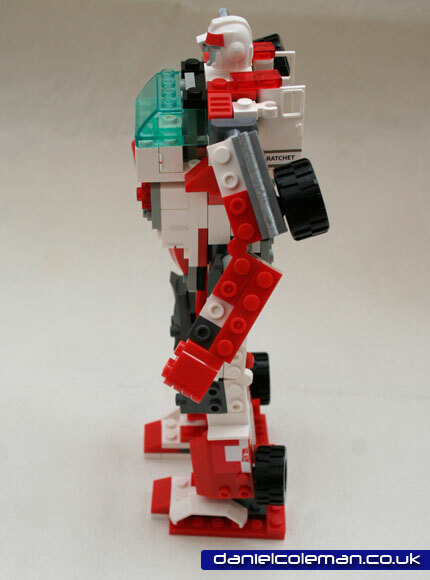 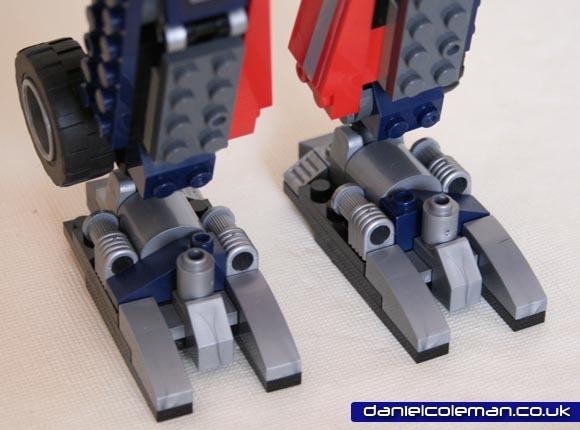 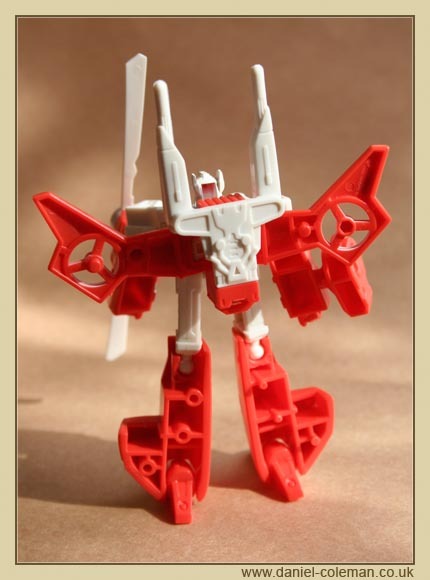 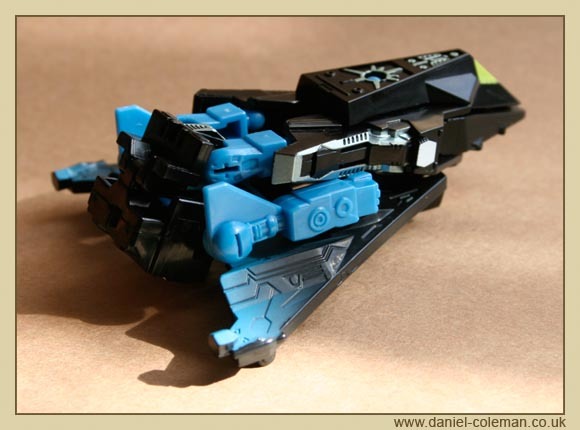 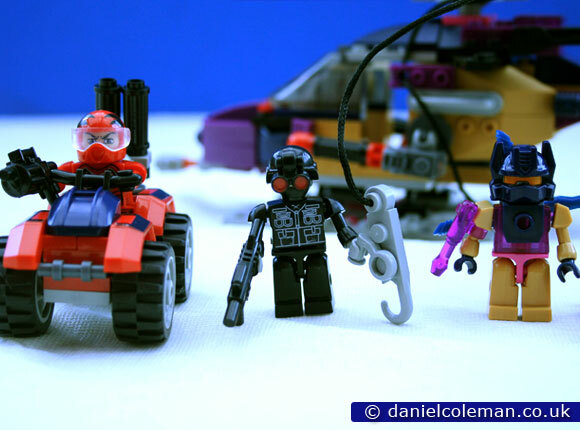 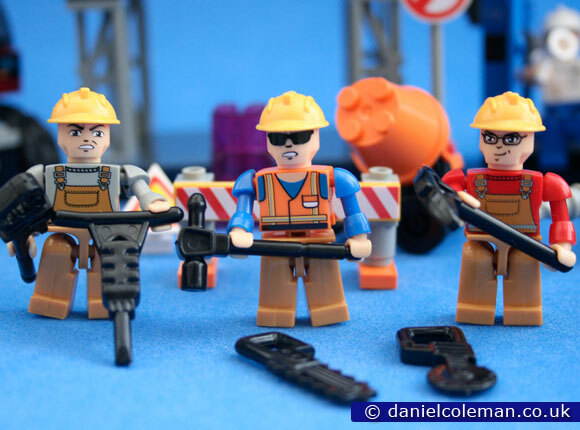 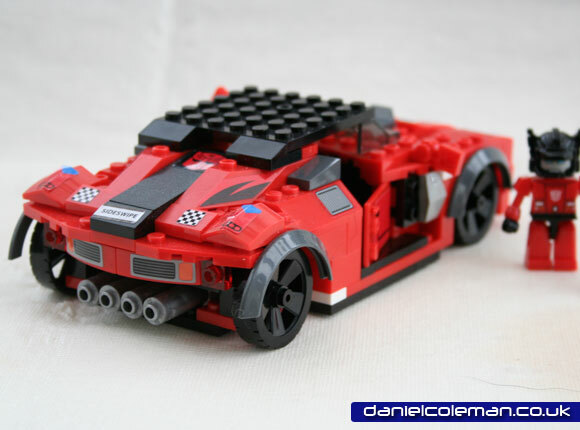 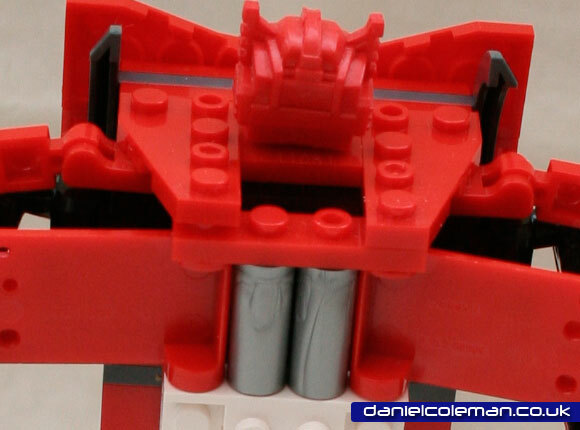 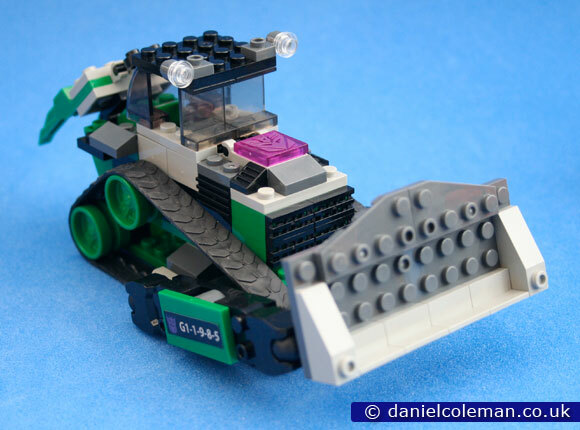 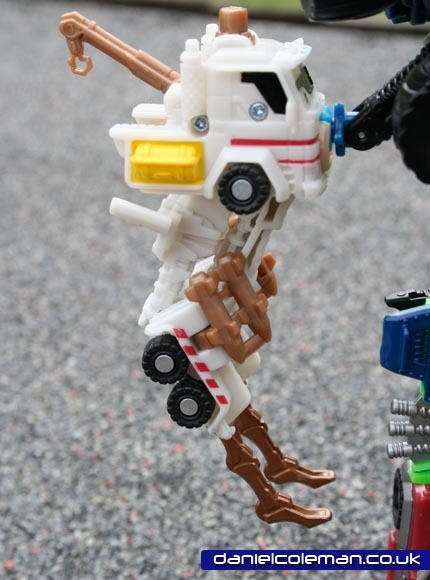 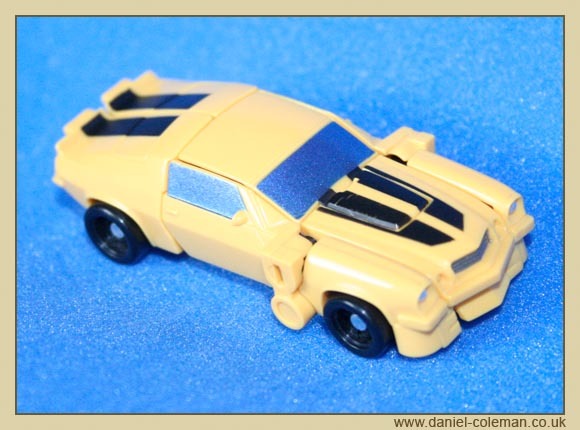 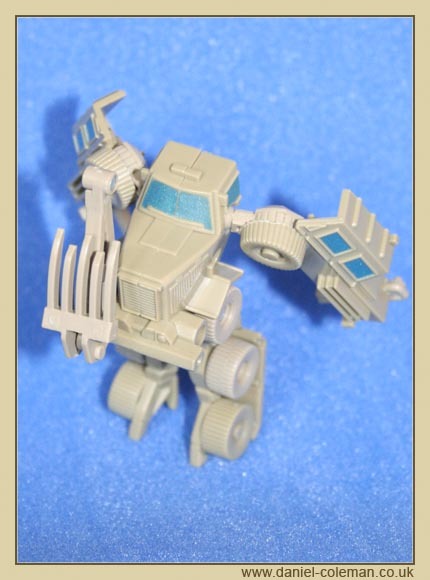 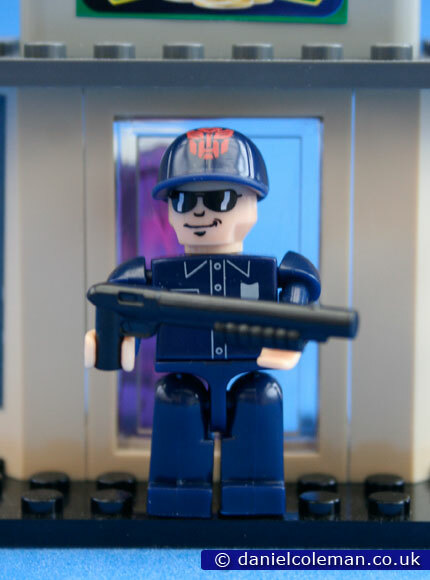 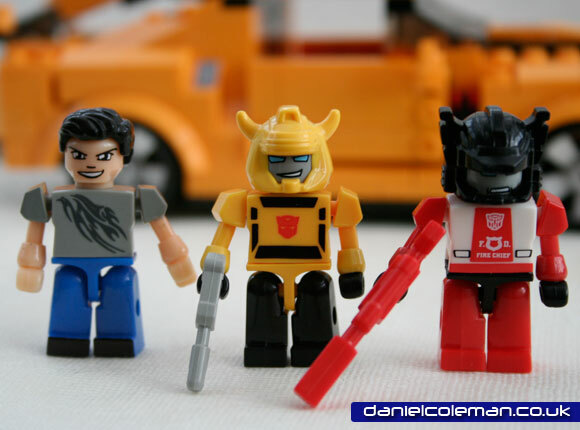 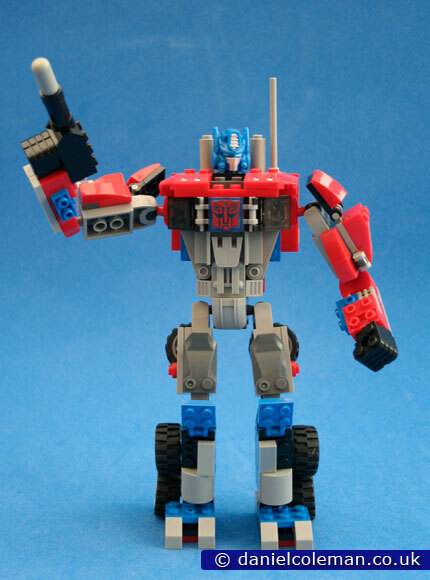 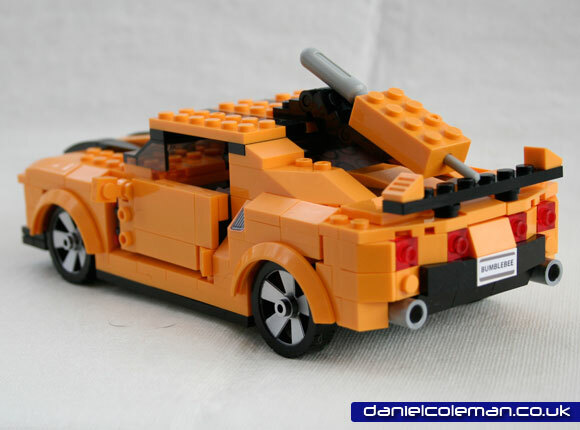 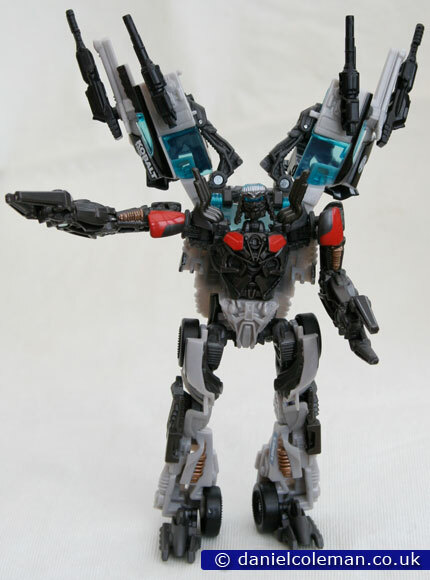 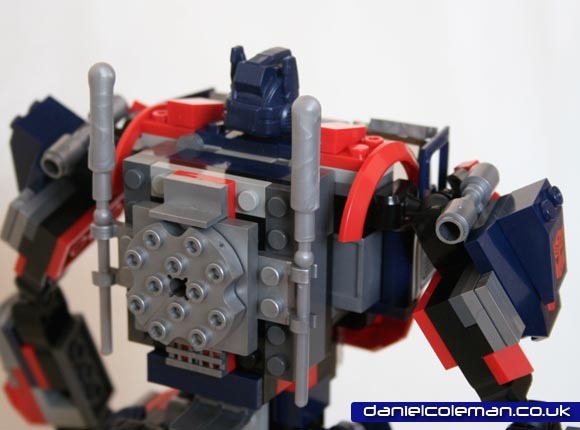 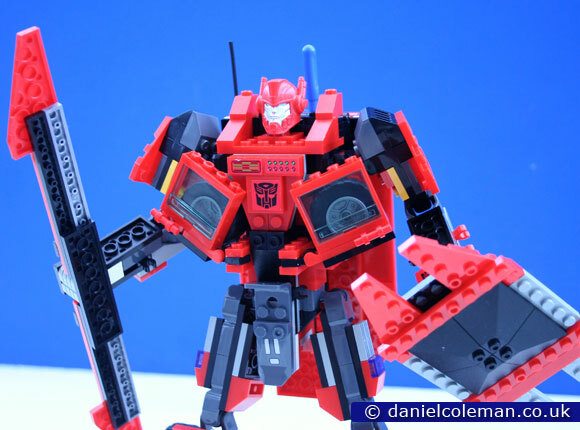 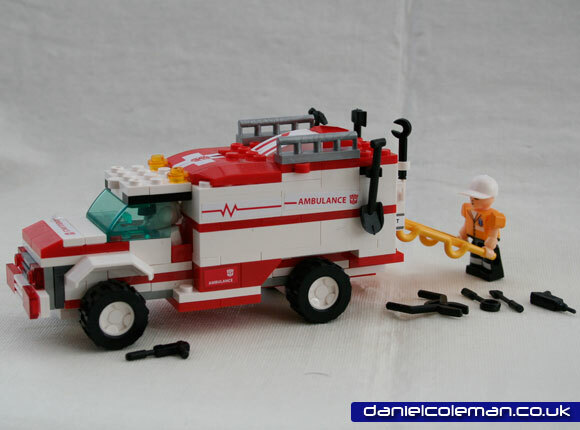 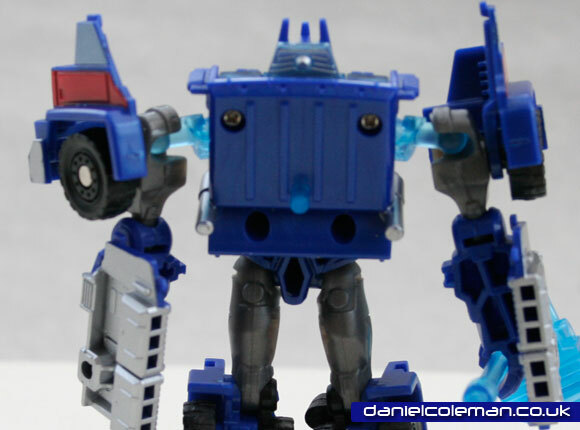 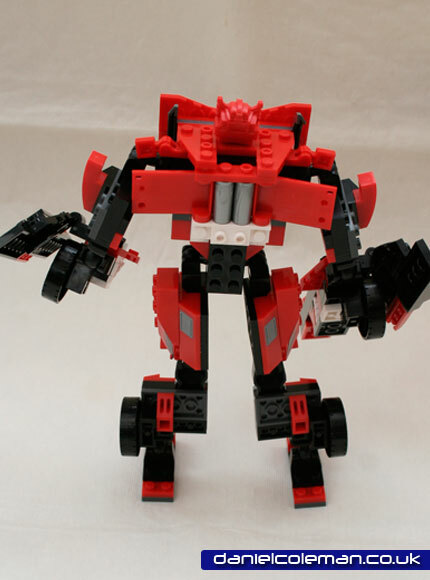 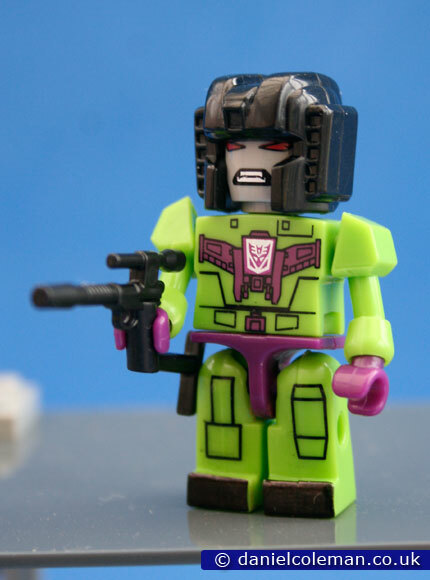 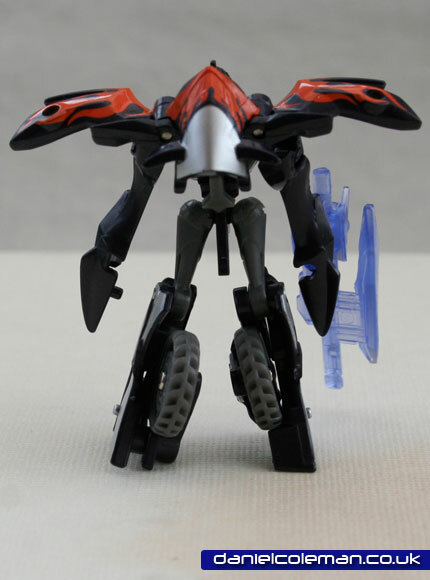 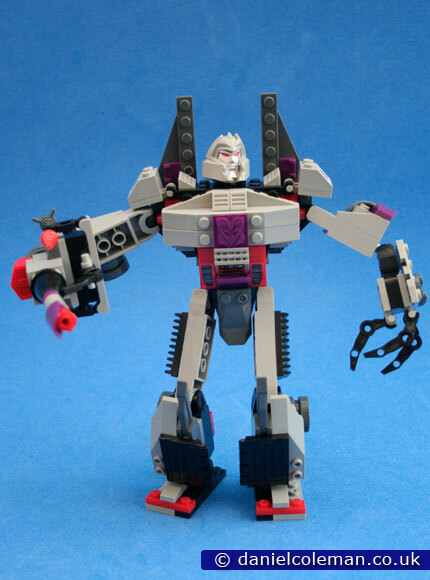 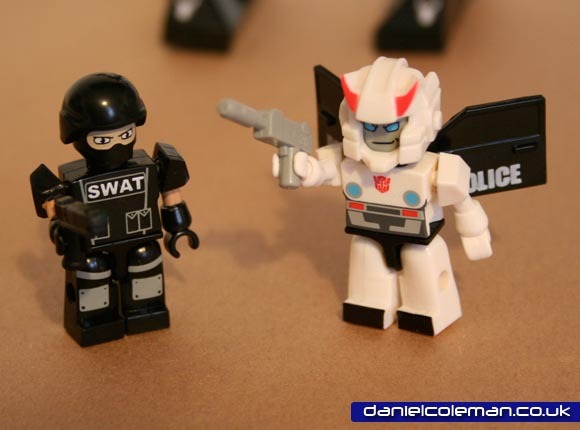 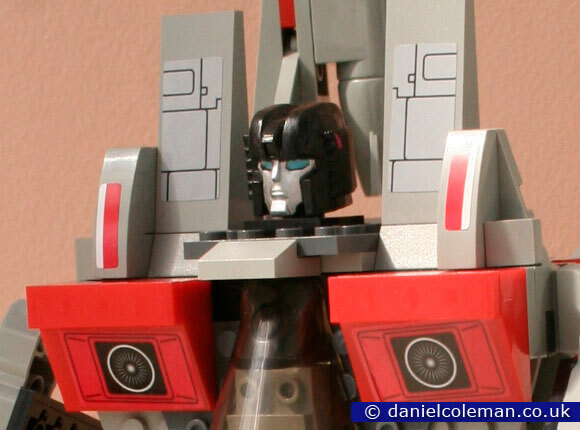 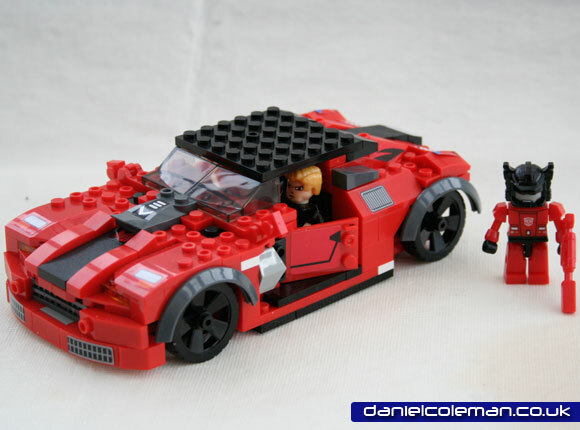 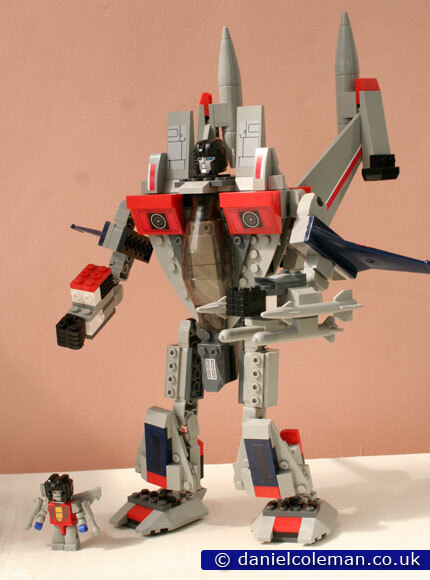 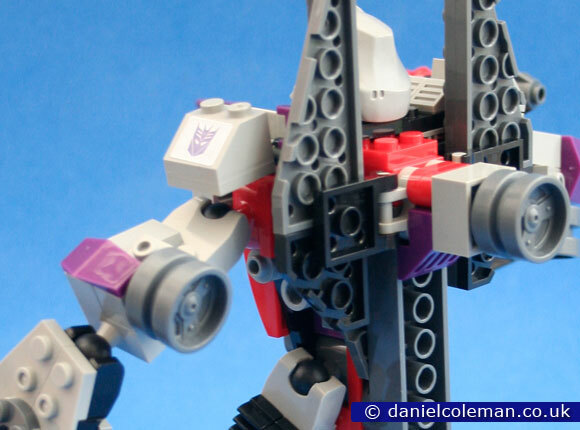 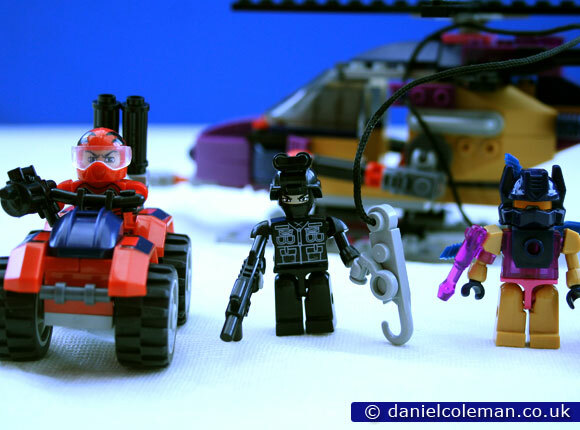 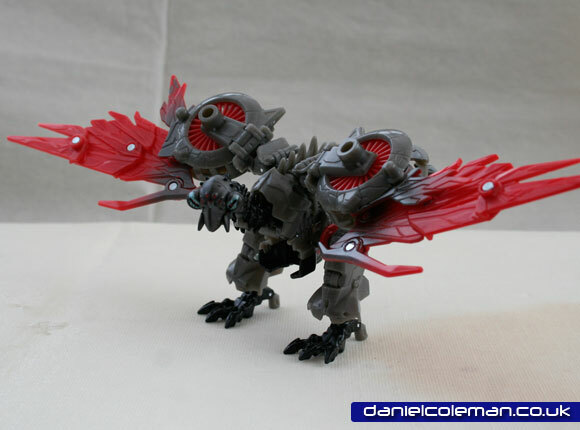 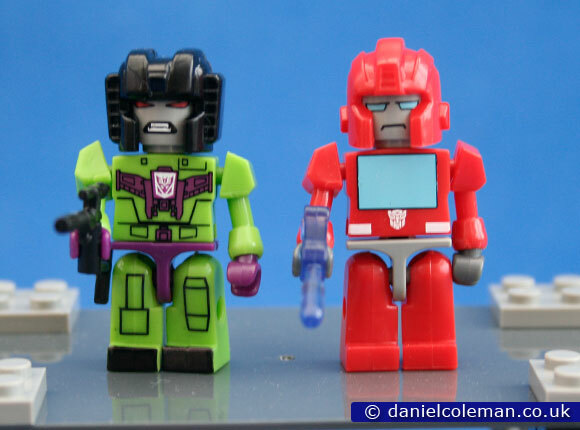 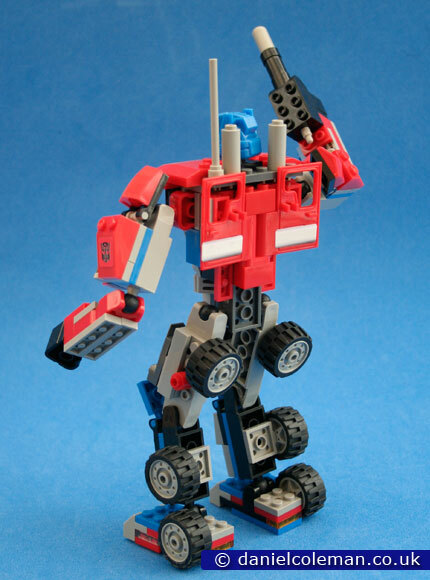 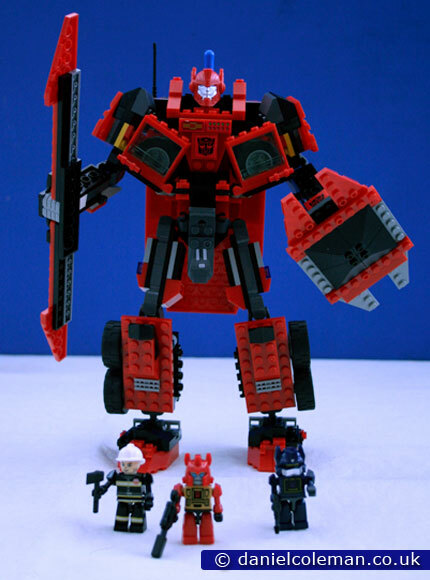 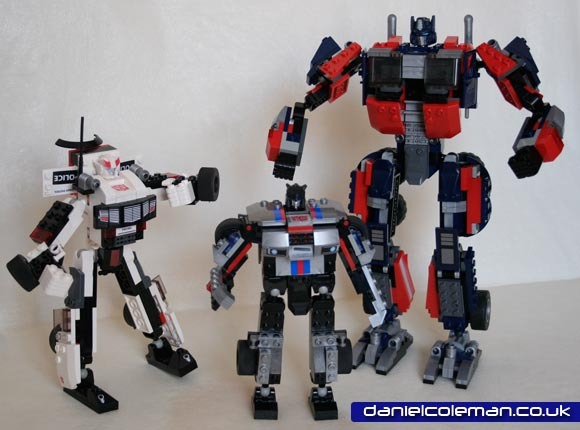 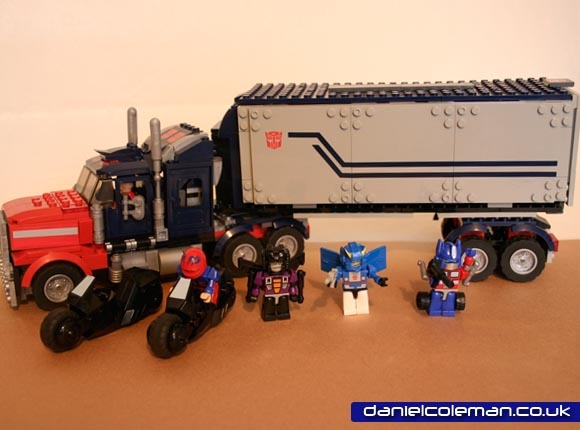 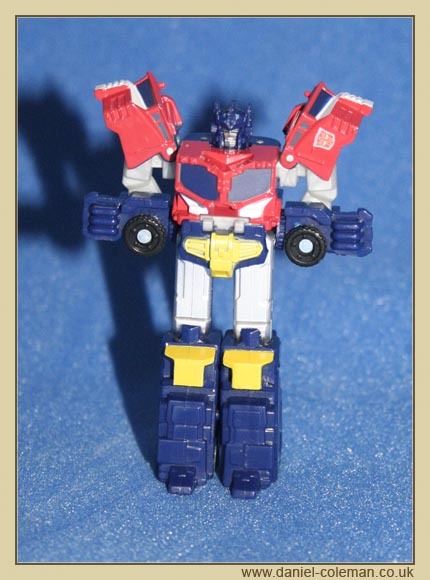 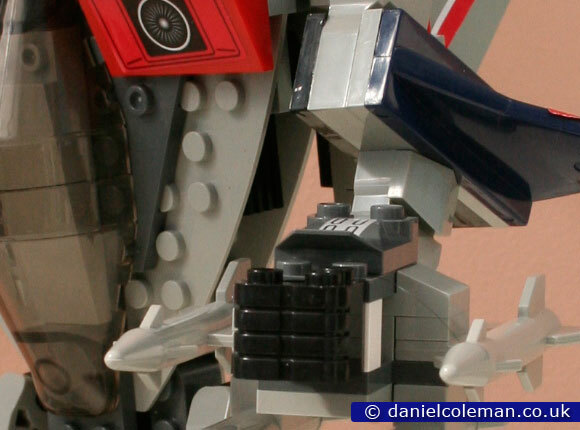 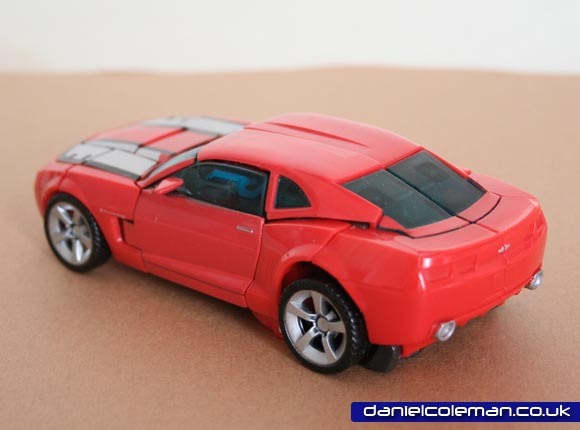 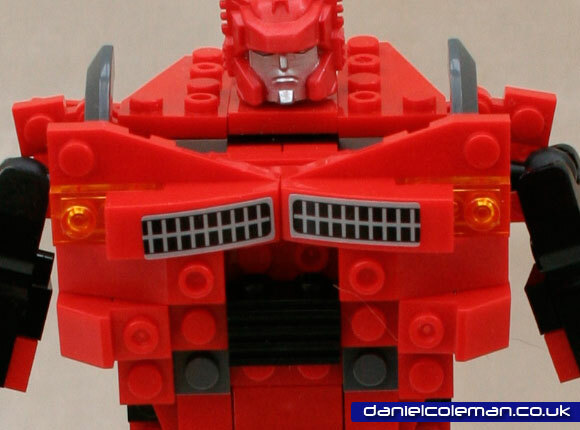 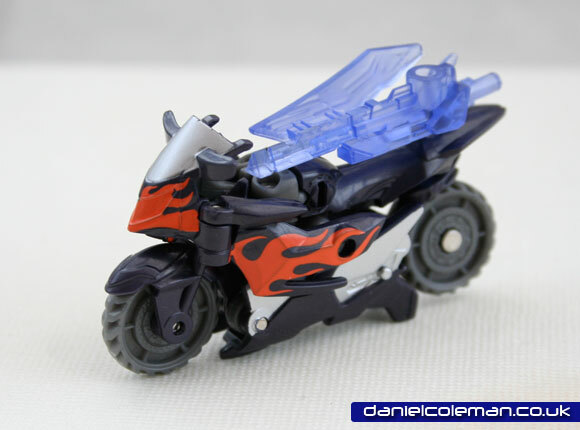 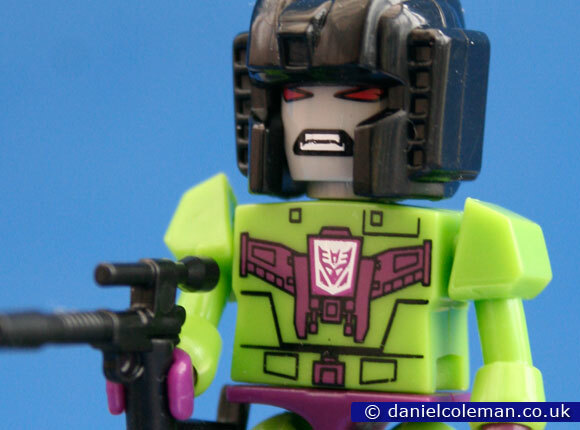 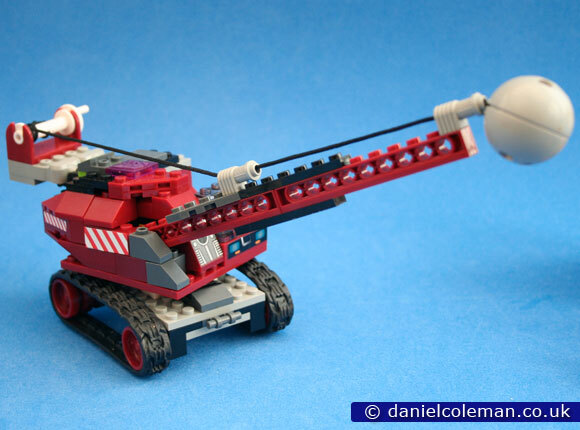 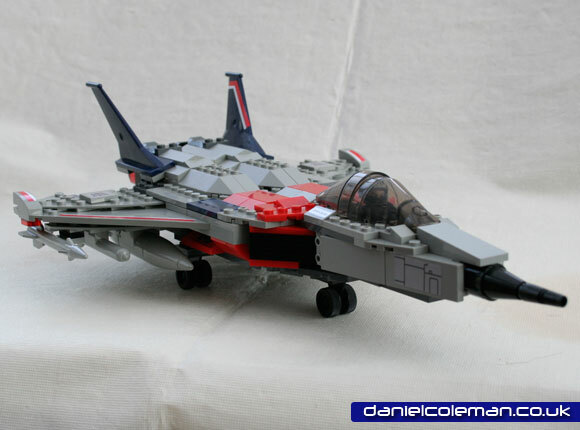 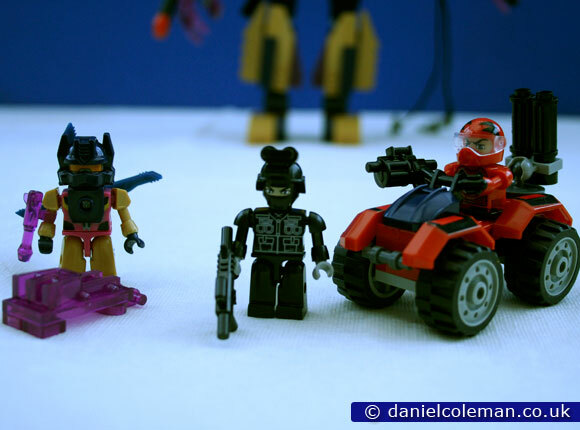 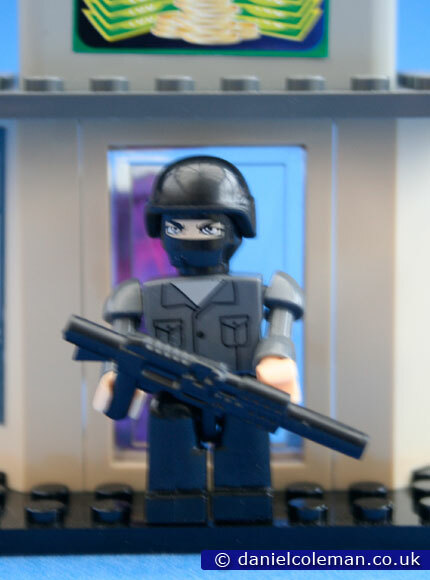 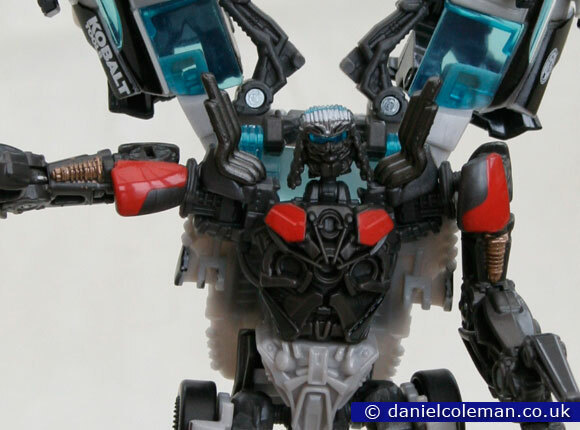 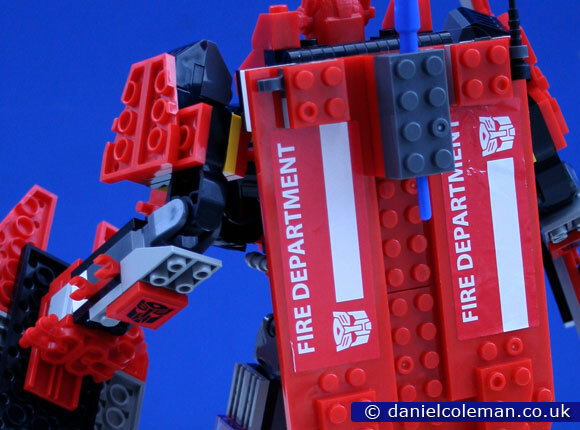 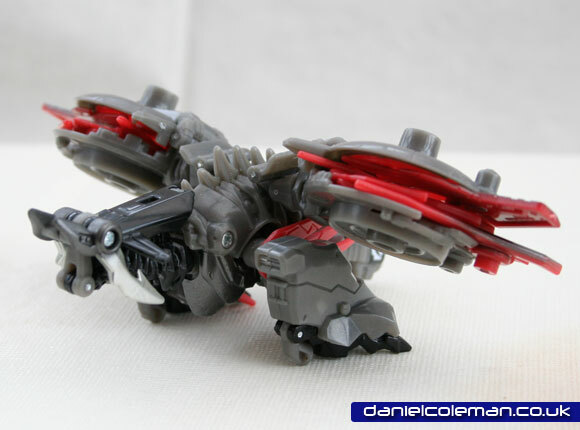 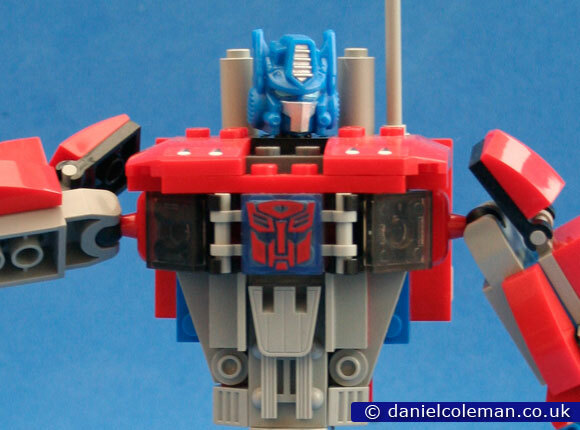 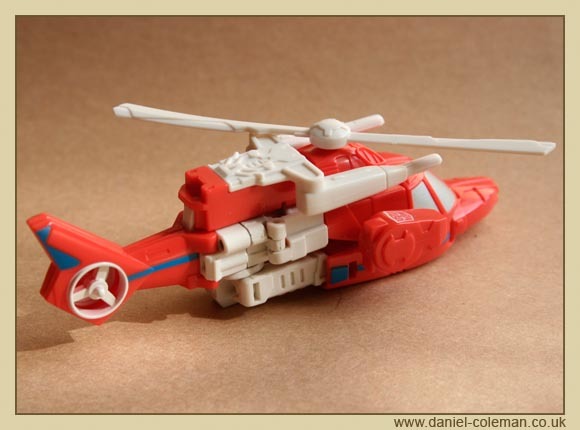 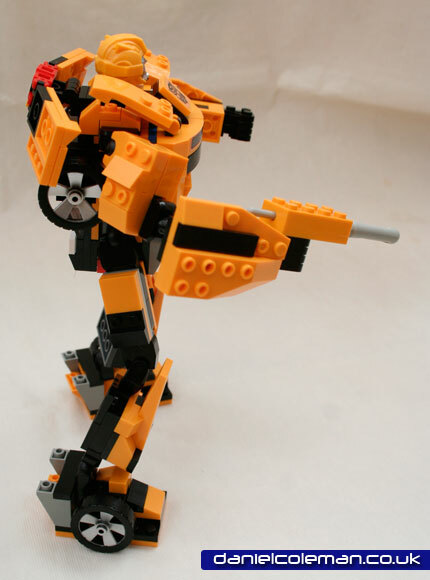 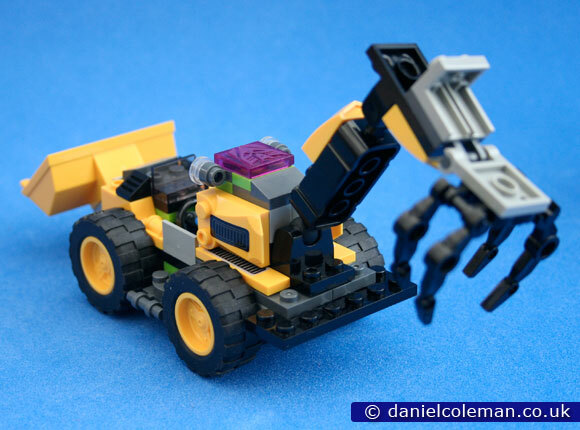 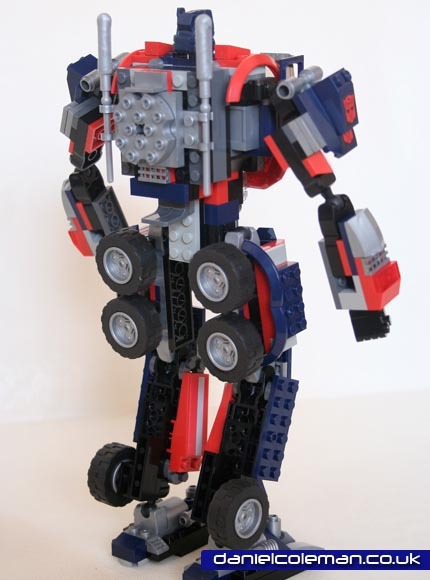 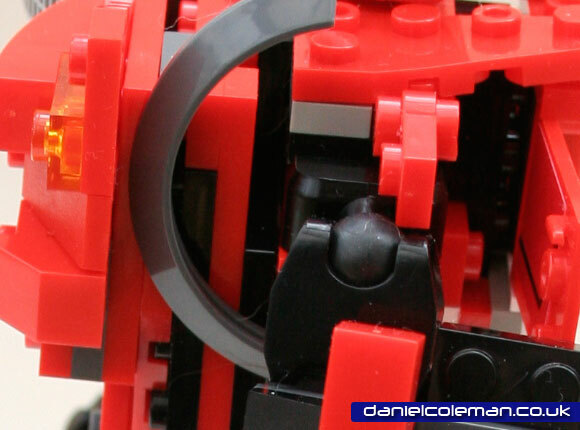 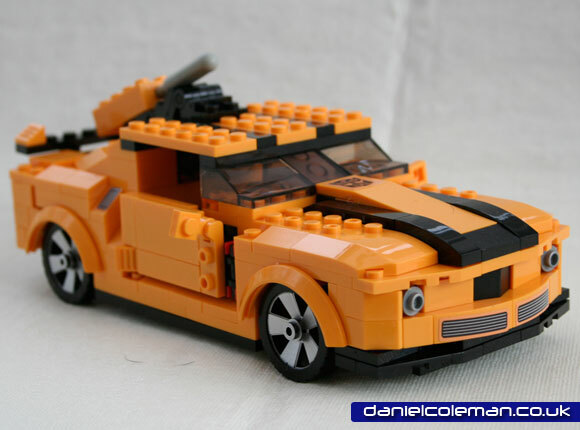 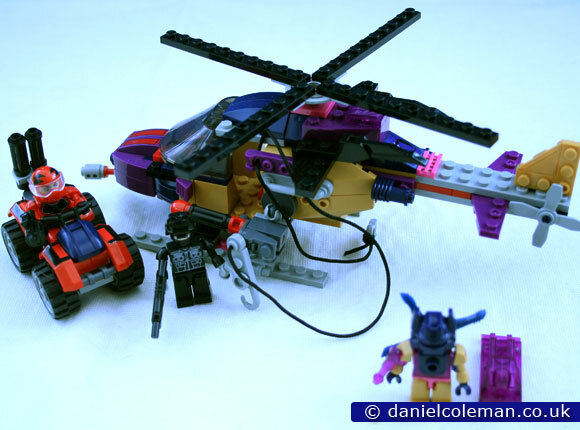 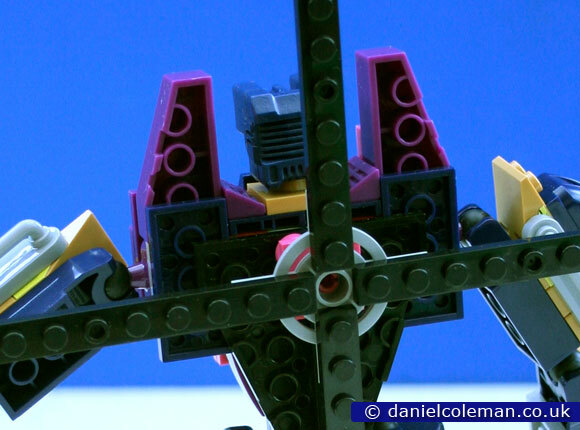 Started in October 2011, a selection of Kre-o Transformer toys that look very much like lego. 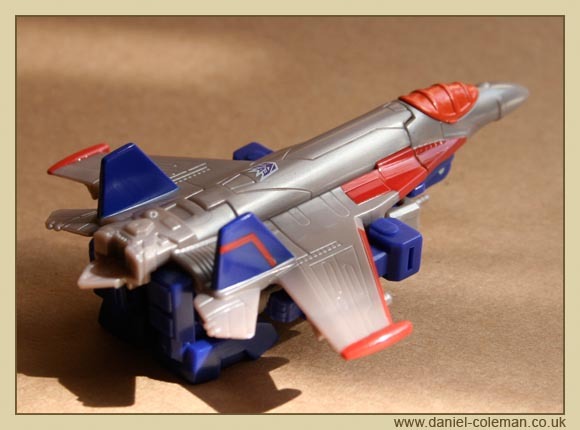 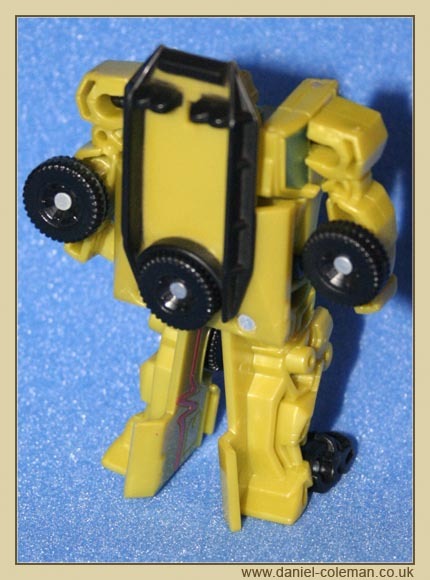 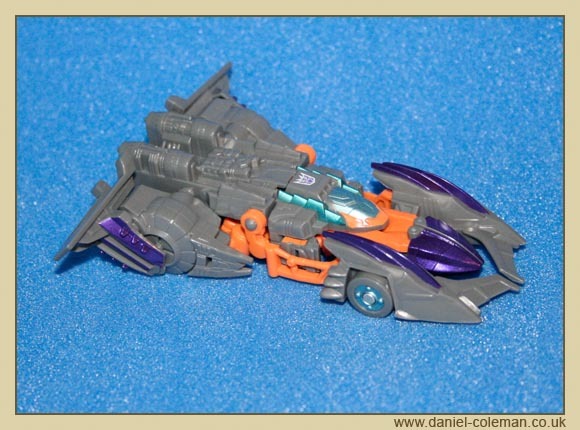 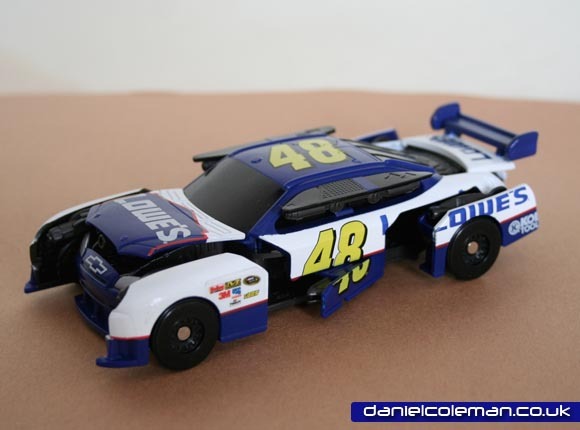 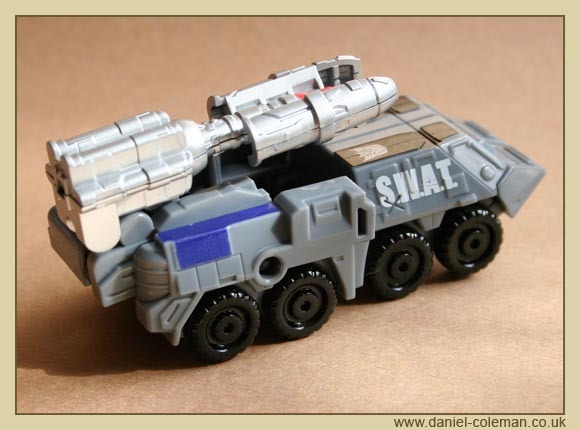 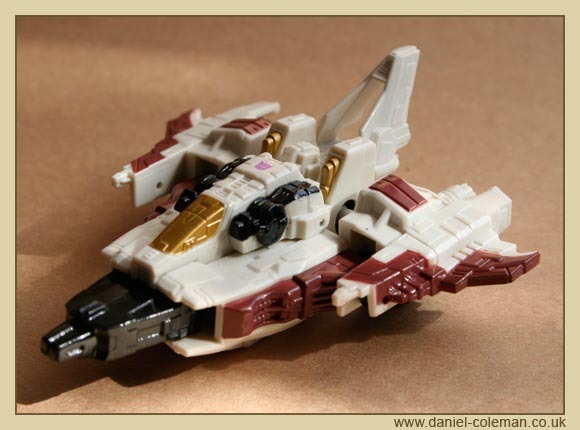 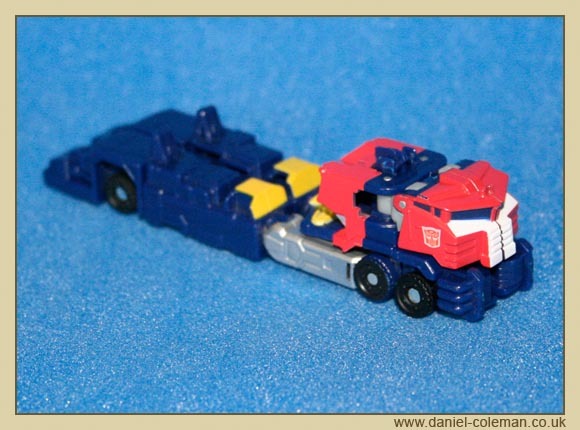 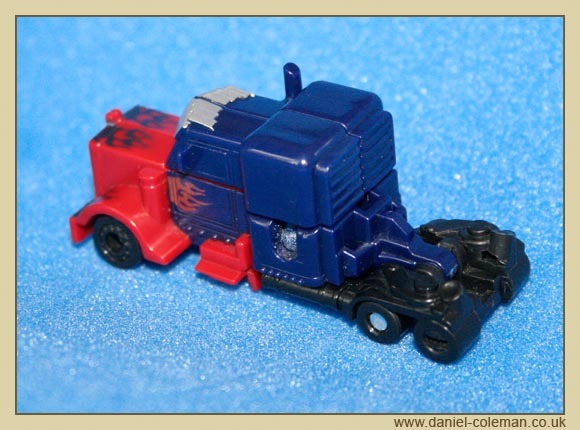 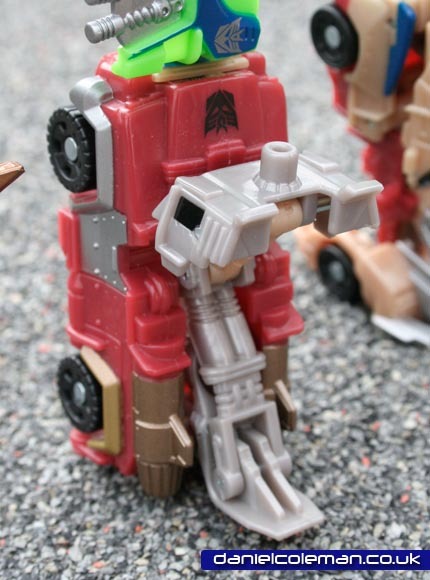 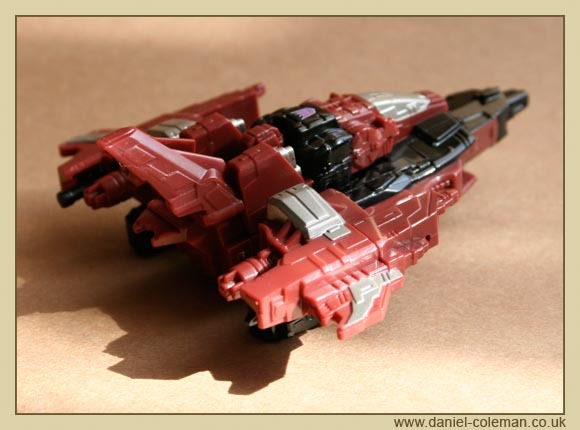 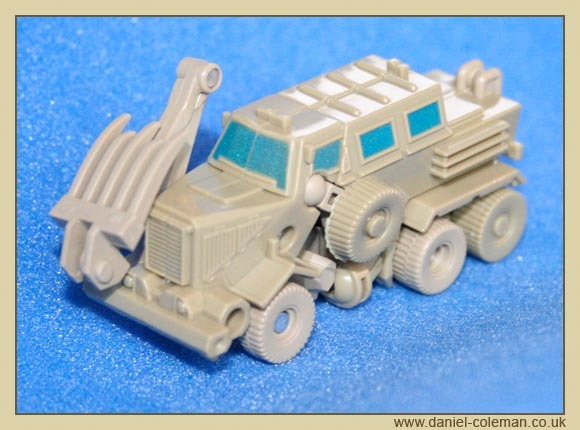 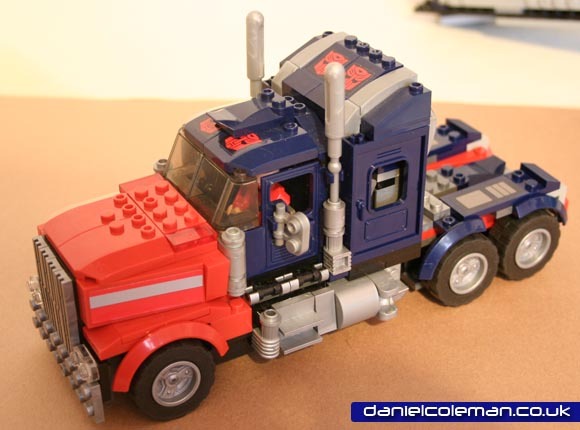 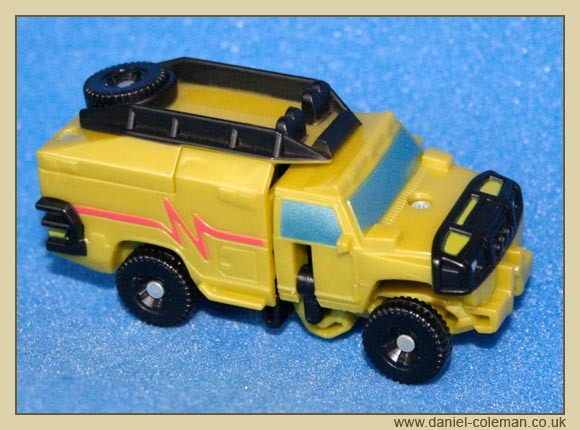 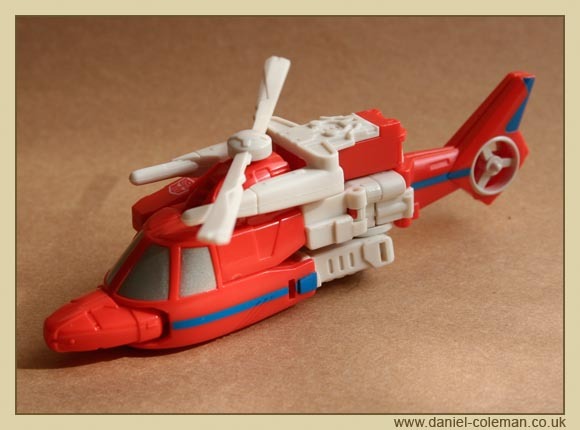 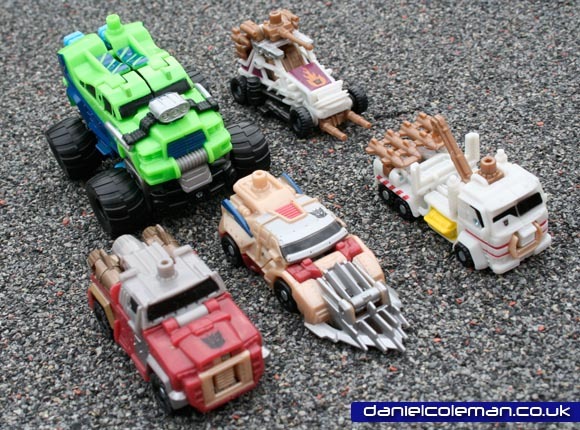 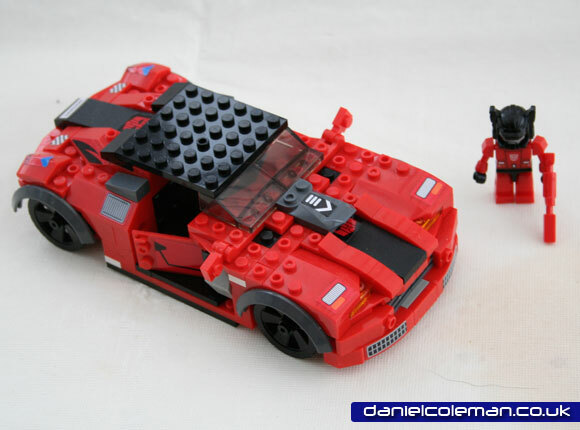 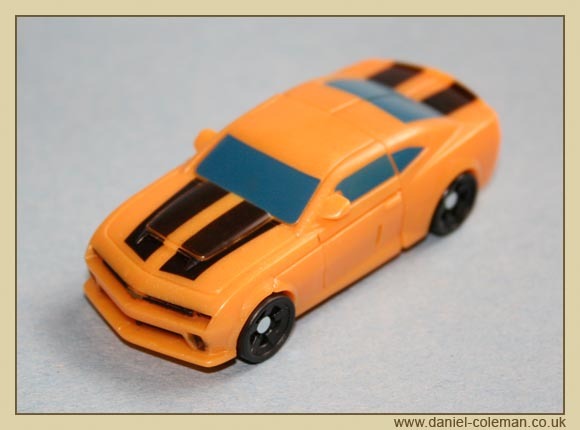 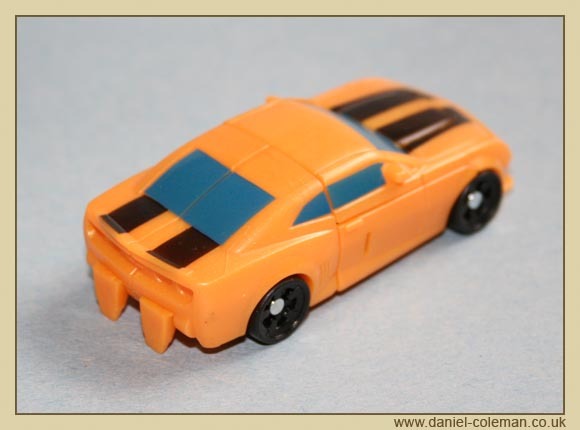 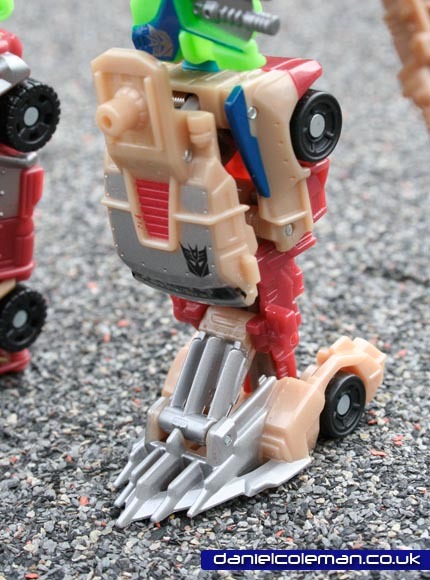 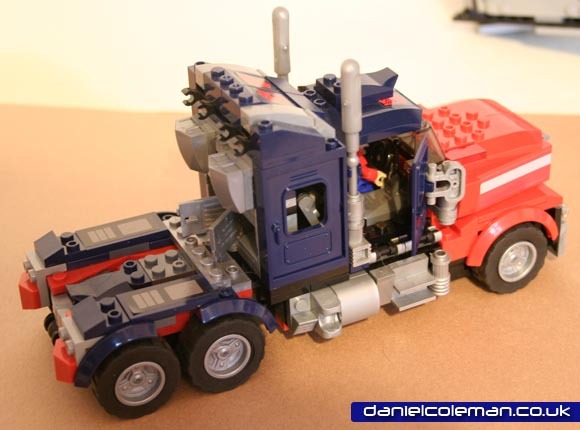 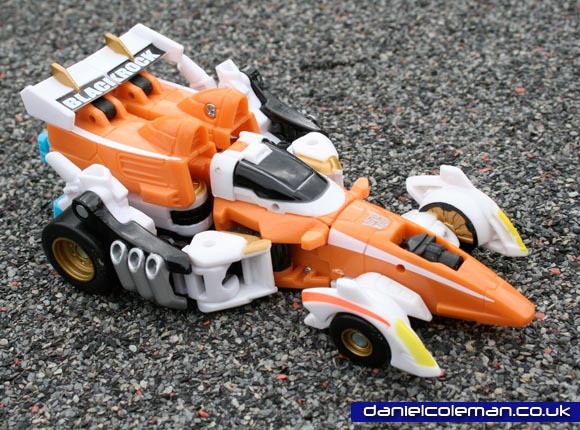 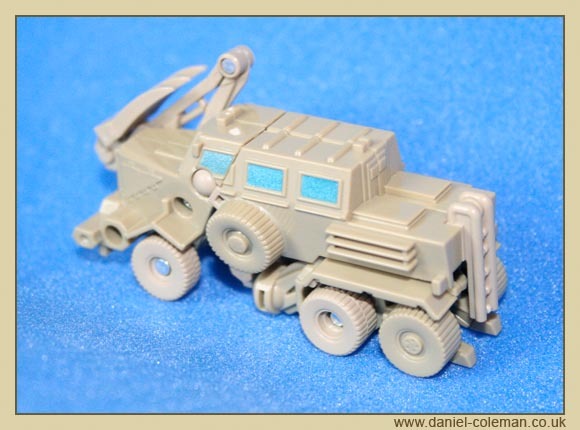 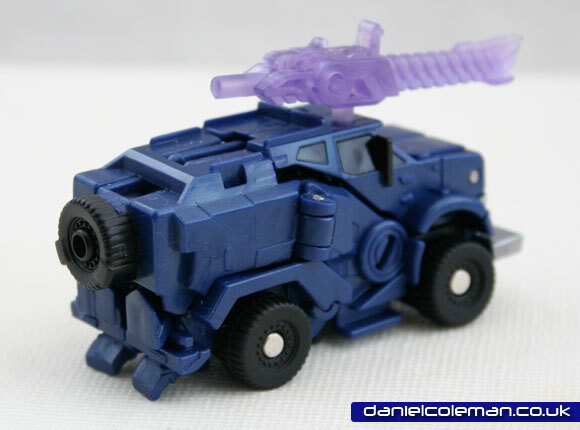 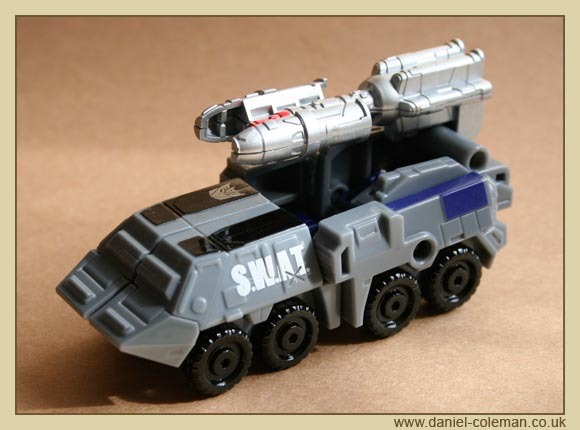 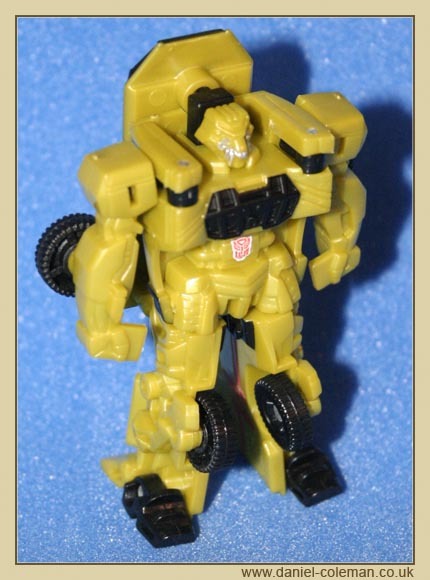 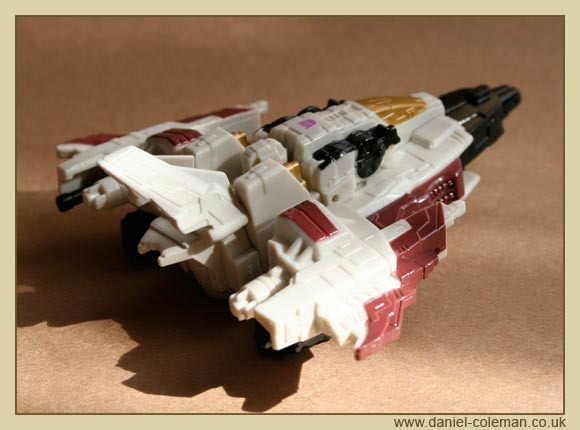 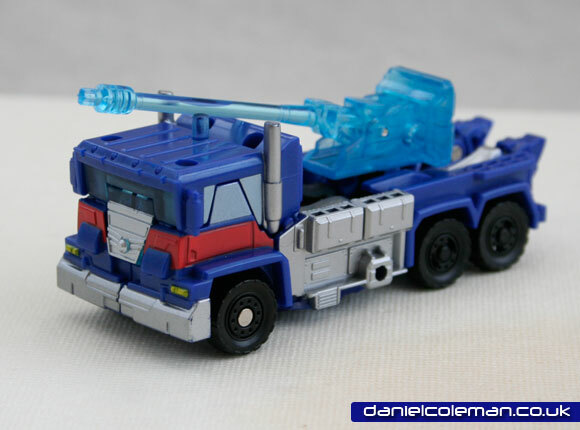 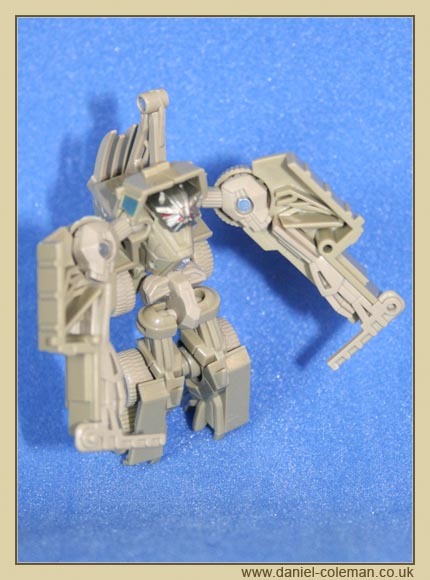 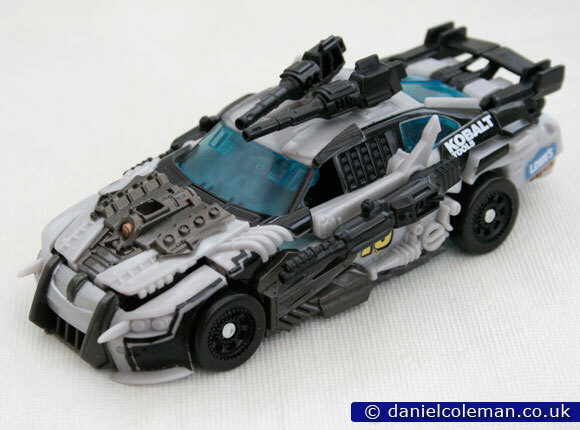 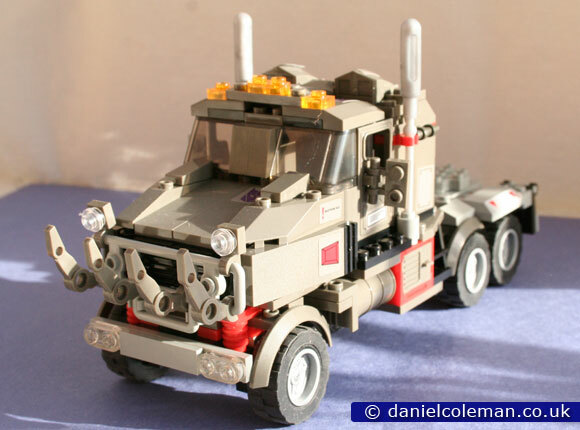 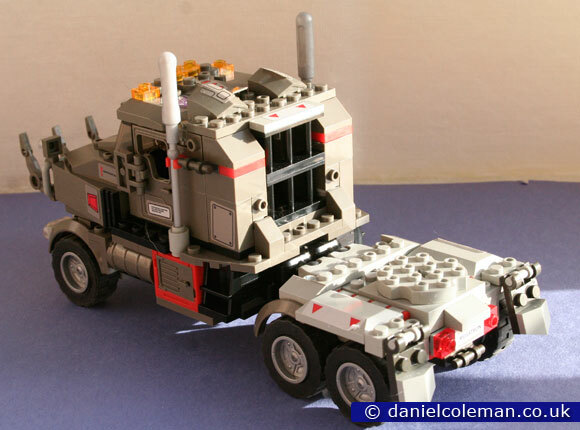 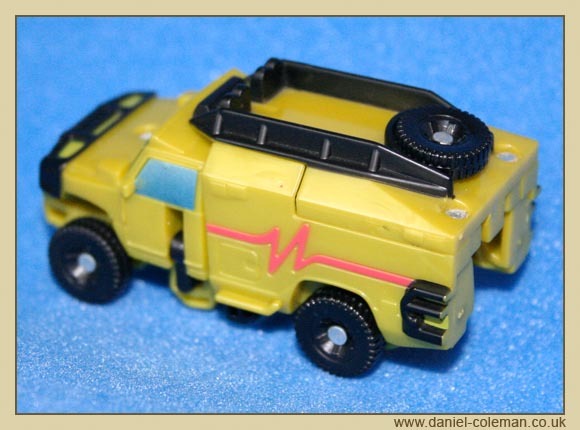 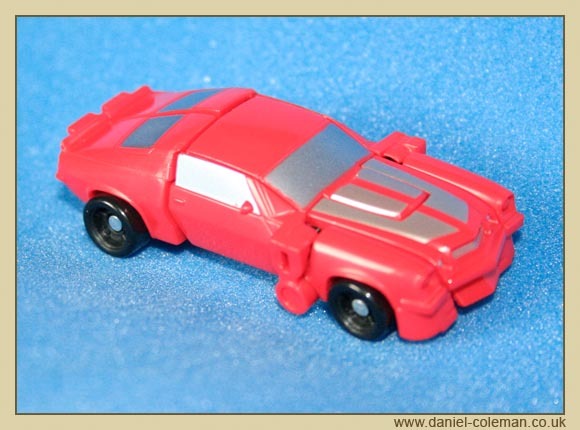 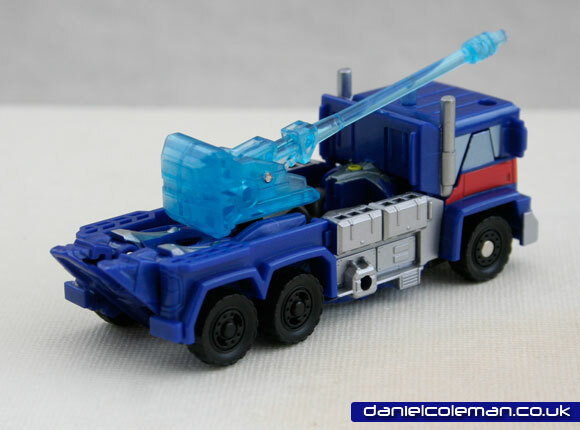 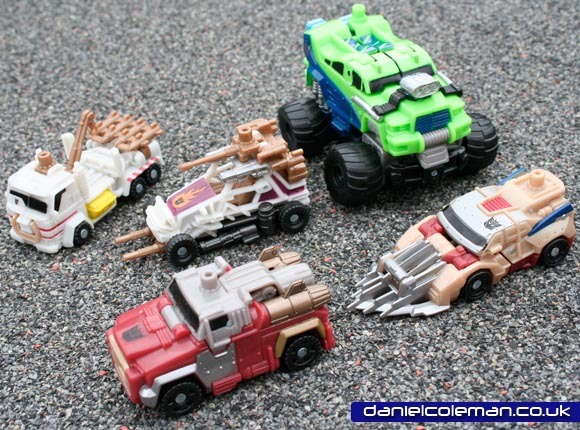 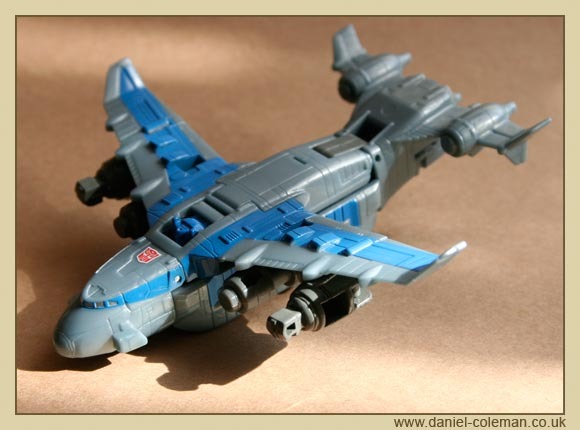 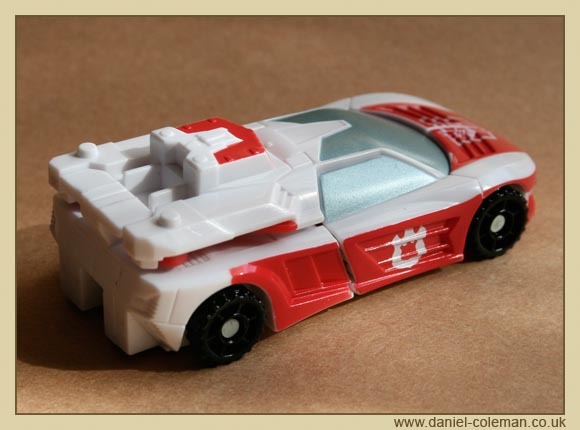 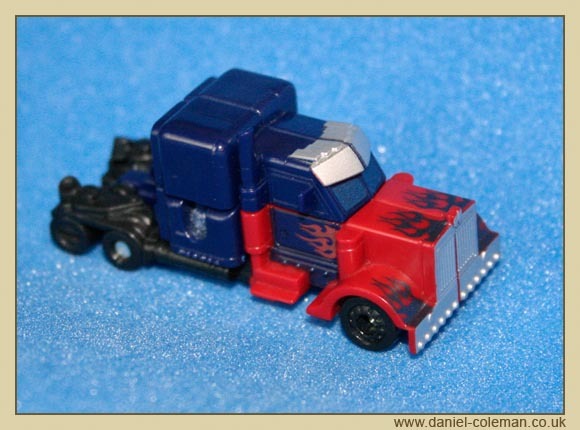 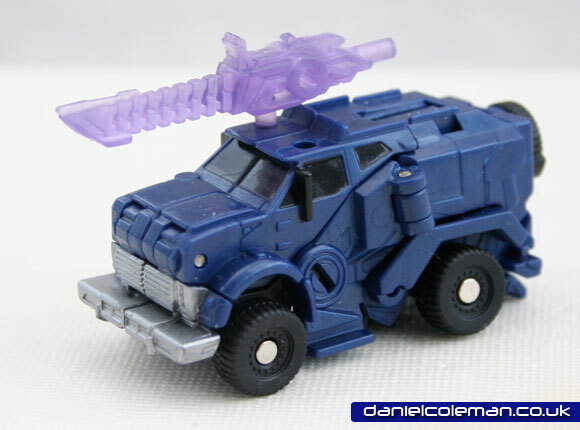 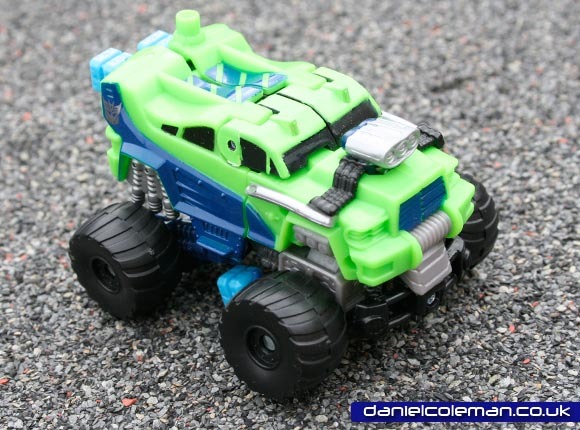 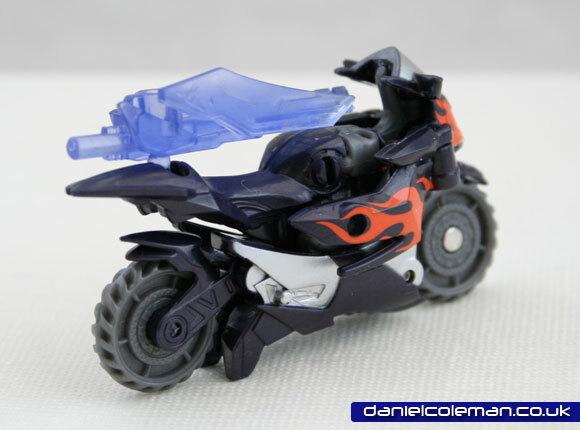 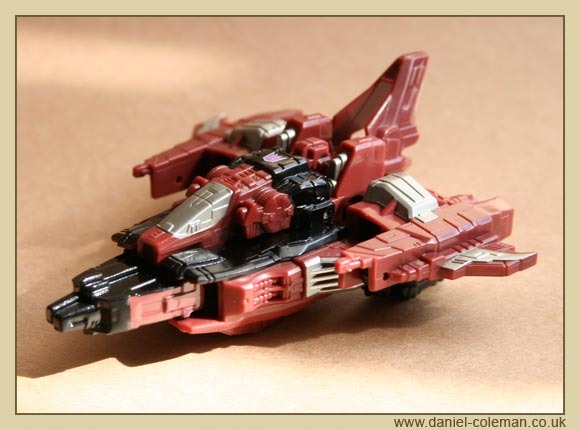 The sets can be built in either the vehicle or Autobot/Decepticon, but not both at the same time. 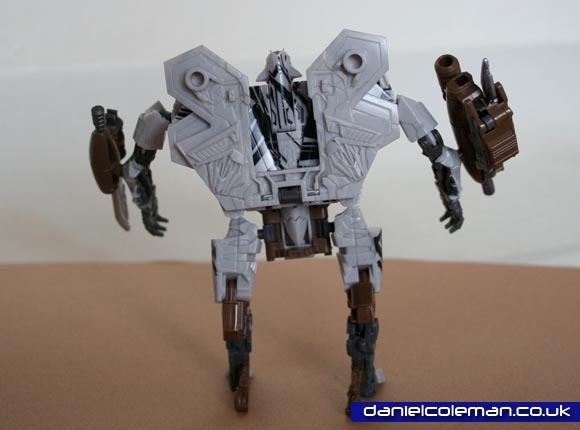 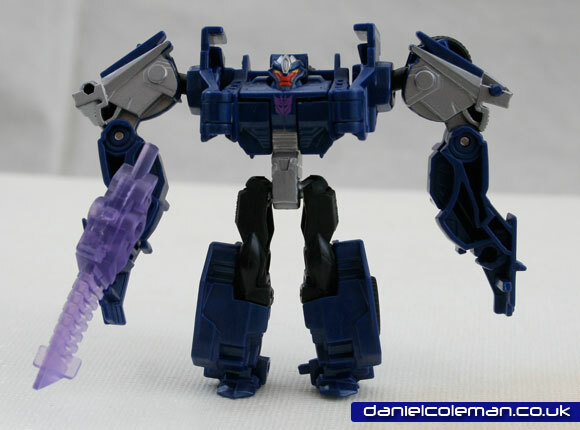 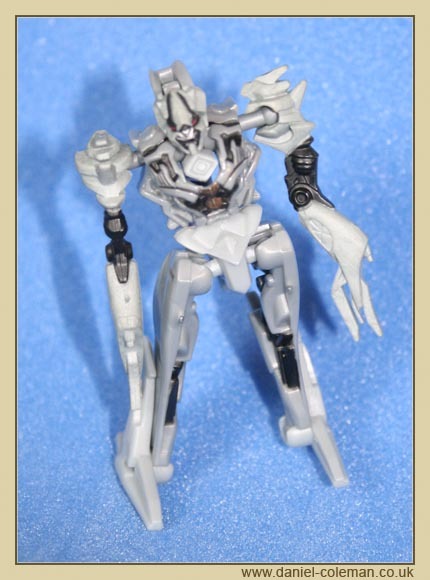 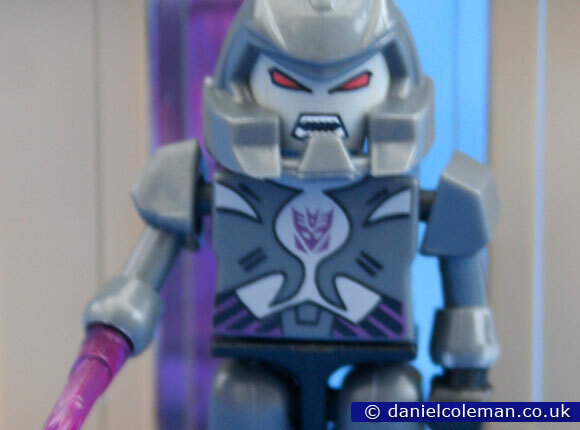 Megatron was the last set obtained at Christmas 2014. 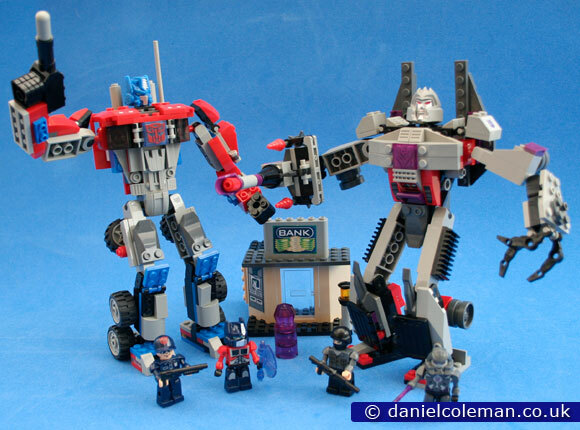 A selection of other Transformer toys, though not enough for a section of their own.